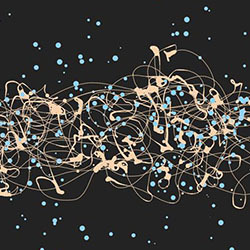 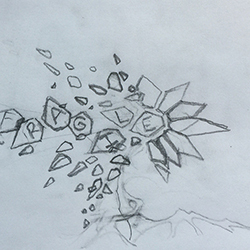 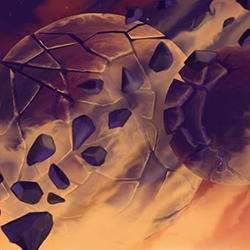 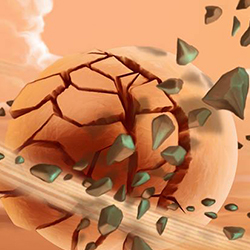 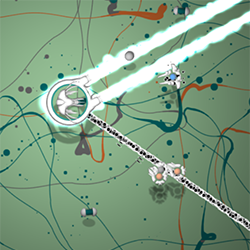 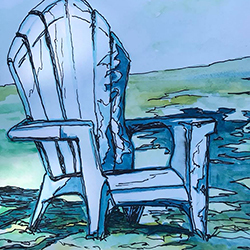 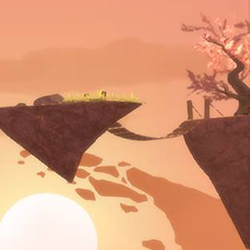 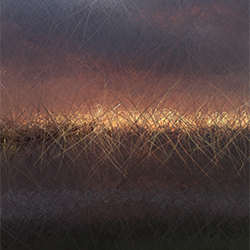 Fragile Equilibrium is a game about the imperfection and impermanence of life. 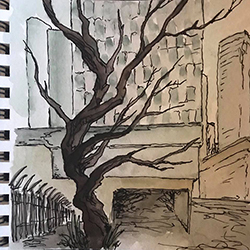 It is a reflection on transience, a balancing act between progress and regrowth, a reminder to find beauty in decay and inevitable destruction. 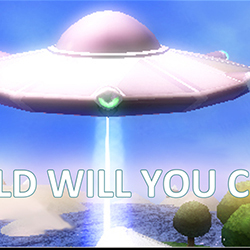 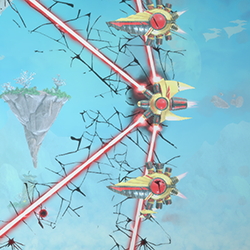 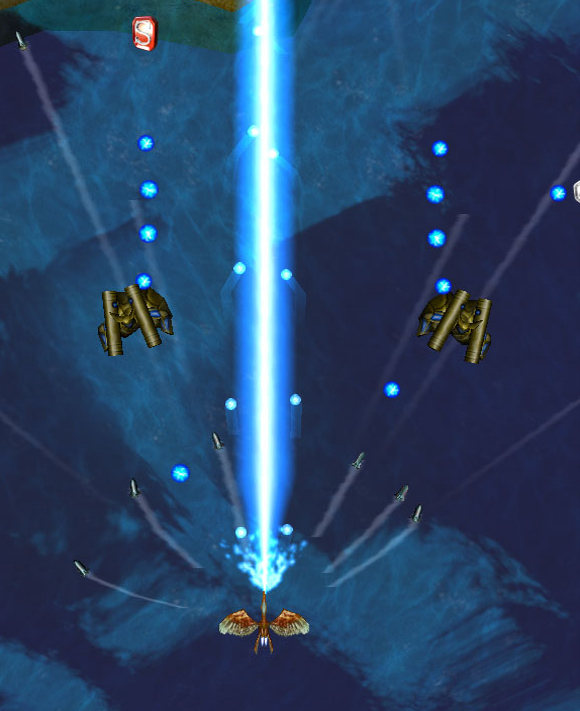 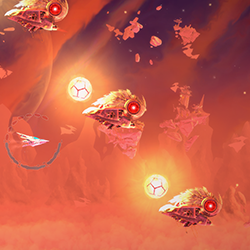 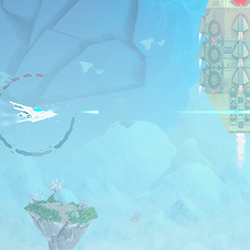 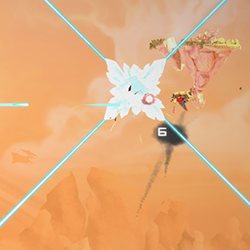 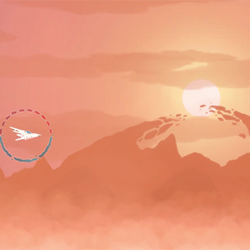 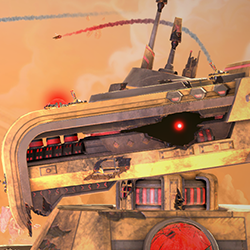 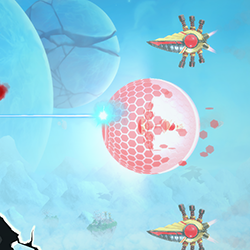 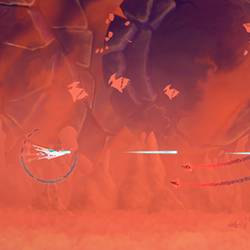 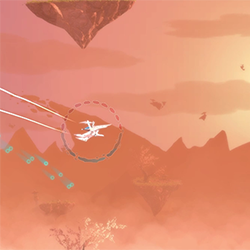 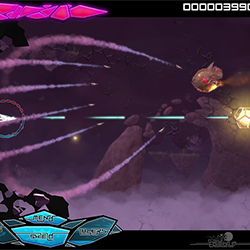 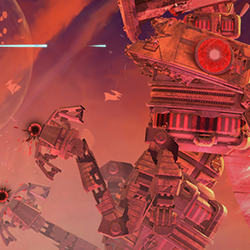 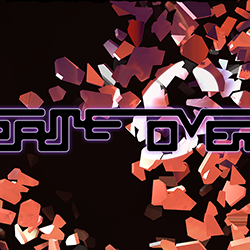 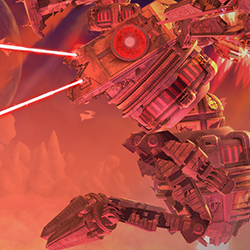 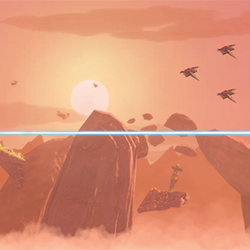 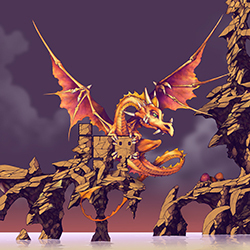 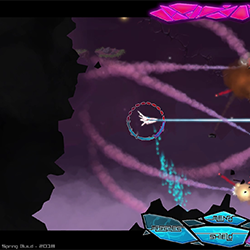 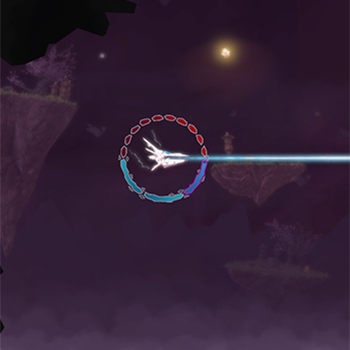 Using old-school “shmup” mechanics and forms, [FE] invites the player to explore a world of quick actions, forced decisions, and subtle strategy: but with each decision, the player falls ever out of balance. 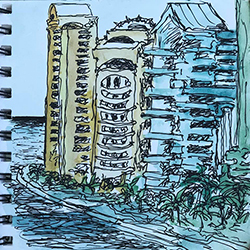 As balance decays so does the world, eroding over time and out of space, binding the player to a smaller area, pressing in upon the mind. 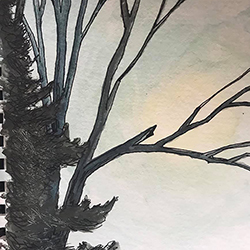 Built upon multi-layered interactions, a Wabi Sabi aesthetic idealism, and a rich, broken world of yesterdays fantasies, [FE] asks the player to reflect upon their play, their world, their nostalgia, and themselves. 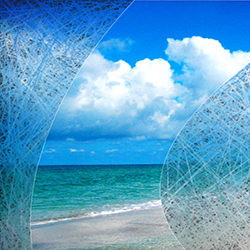 Find your balance, live a life well played. 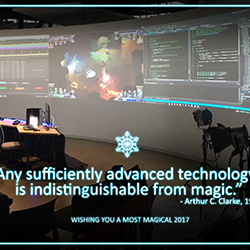 [FE] is in active development, and is a first effort in collaboration with Microsoft as a part of the new Creators Program. 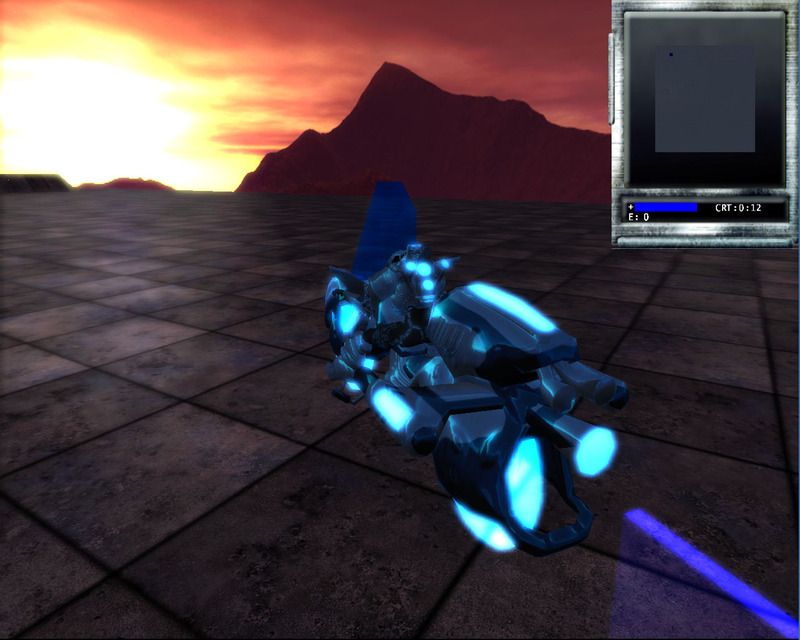 It is beling developmeed simultaneously for Windows PCs and XBOX One, using Unity. 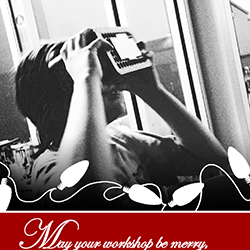 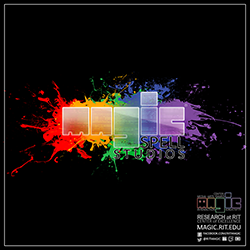 Production tools include Adobe Creative Suite, Autodesk Maya, Surface Painter, Visual Studio, and more. 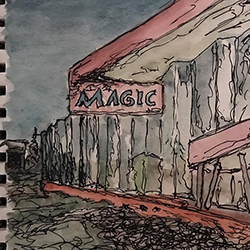 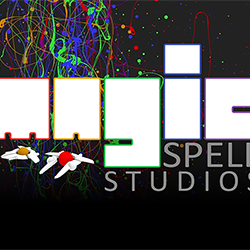 Professor Phelps has worked with students in the fall of 2016 and again in fall of 2017 as part of a production course, and is now working with his team of students directly in studio roles, with co-creator and collaborator Aaron Cloutier at MAGIC Spell Studios. 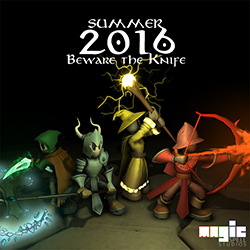 Expected release date is sometime in fall of 2018. 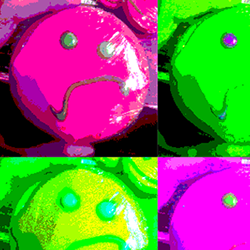 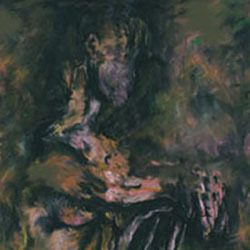 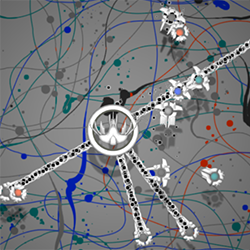 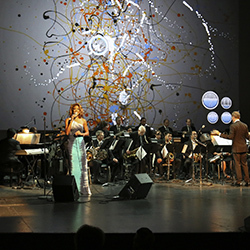 As a work of art, [FE] is a thinly veiled allegory for dealing with depression and anxiety: it is intended specifically to create in the player the sense of being 'squeezed', a slowly building pressure and feeling of being trapped, and to lead players to reflect on balancing their forward progress with a constant need to reconsider, rebuild, and refocus on internally facing (i.e. 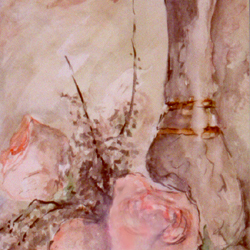 inward facing) issues and obstacles. 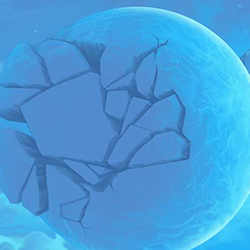 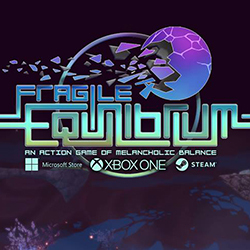 It challenges players to find a Fragile Equilibrium in their own play, as a metaphor for conveying issues of instability. 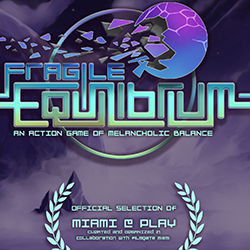 It is with great pleasure that we announce that Fragile Equilibrium is an official selection for Miami@Play in December 2018, curated and organized in collaboration with Filmgate Miami, and shown in conjunction with Art Basel 2018. 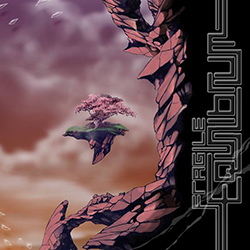 Fragile Equilibrium is rated E by the ESRB, and may contain small amounts of cartoon violience. 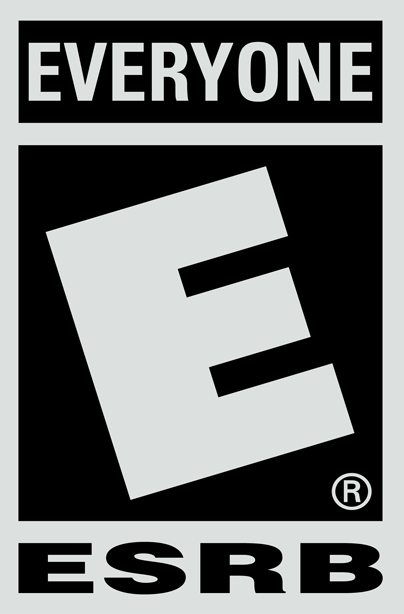 More information on ratings and their meanings is availble via the Entertainment Software Ratings Board. 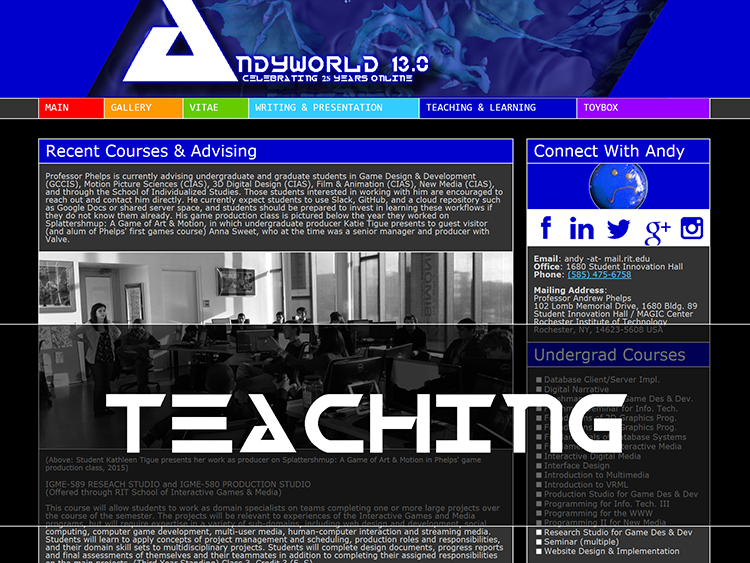 Visit the FE website for all things FE! 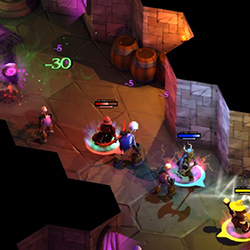 From 2015-2016 Professor Phelps served as supervising faculty to the entire HSB project, first by advising his class on game production (where the game first came to life), and later supervising students directly through additional refinement, creation, production, certification, and publication processes in part-time and full-time studio roles. 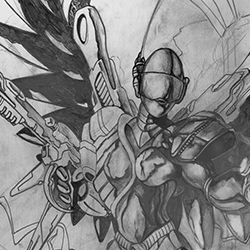 In addition he served as a graphic designer, UI/UX developer. 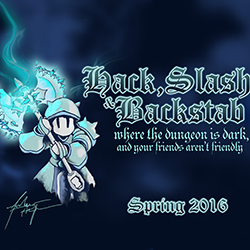 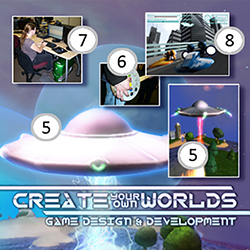 and digital artist on the game, in collaboration with other members of the design and development team. 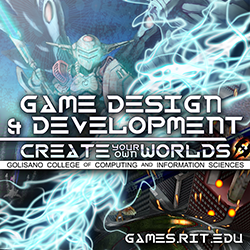 Nearly all of the students who were a part of this experience have gone on to careers in game development, at studios such as Insomniac, Activision, Darkwind Media, and more. 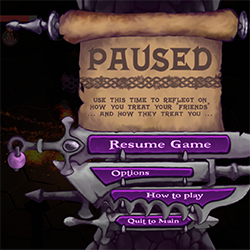 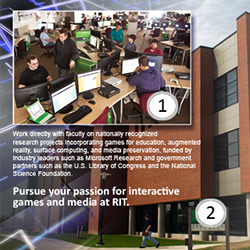 The launch of the game was featured at Inside HigherED, Campus Technology, PBS(WXXI), and other venues, as well as by local news media. 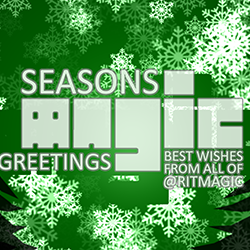 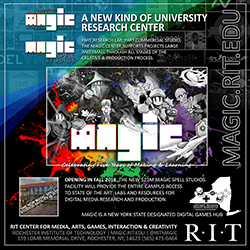 The game was also a demonstration at the Game Developer's Conference (GDC), the Imagine RIT festival for 2 years running, the ROC GameFest, and was featured in numerous events and tours of the MAGIC Center by state and local officials. 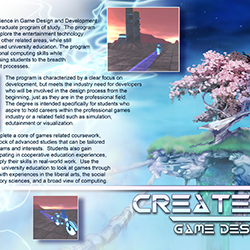 Students also presented the game at the INTEL Games Showcase in 2016 and were the 3rd place winners for visual quality. 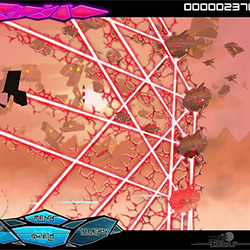 The game was built in Unity, and also used Adobe and Autodesk tools in production, as well as Z-Brush, Git, Google Docs, Slack, and other tools. 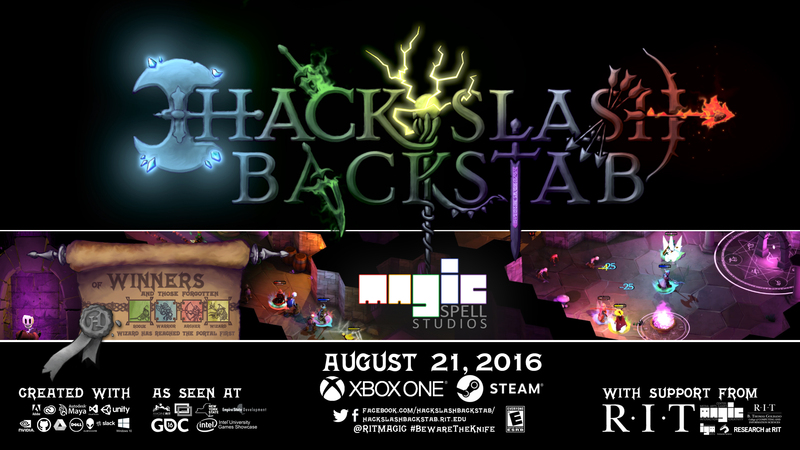 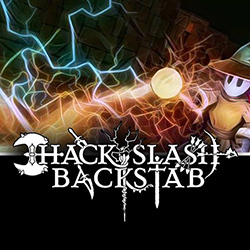 HSB is rated 'Everyone 10+ with Mild Fantasy Violence' by the ESRB. 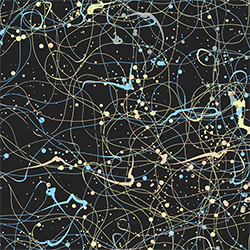 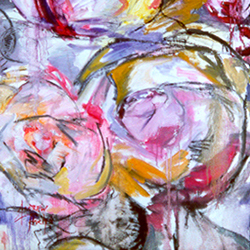 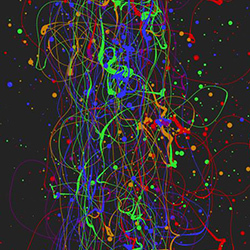 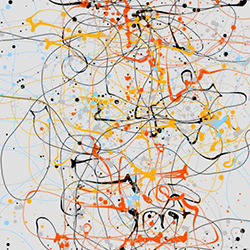 Splattershmup is a game that explores the intersection of the classic shoot-em-up (or "shmup") arcade game and gesturalized abstraction or "action painting" (a term coined by critic Harold Rosenburg in 1952 and often used to describe the work of American artist Jackson Pollock). 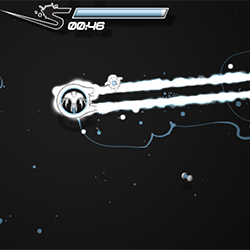 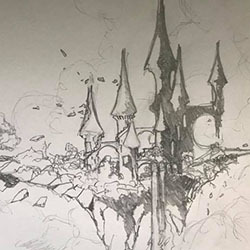 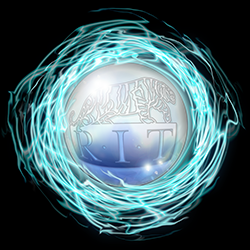 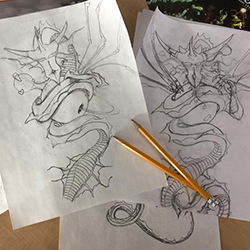 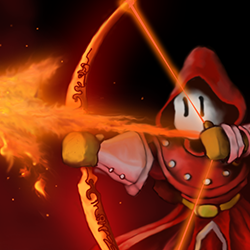 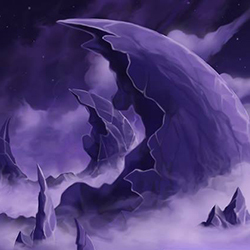 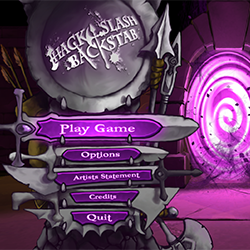 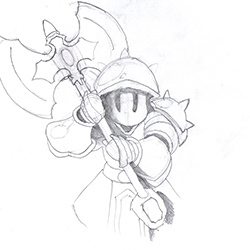 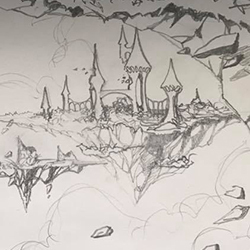 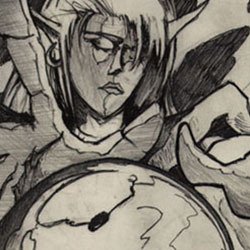 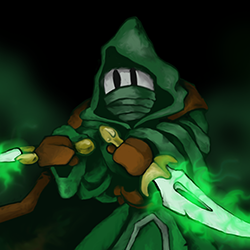 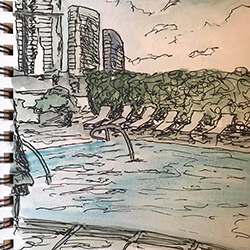 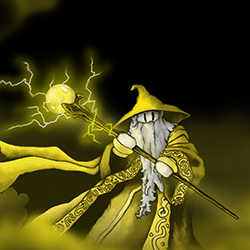 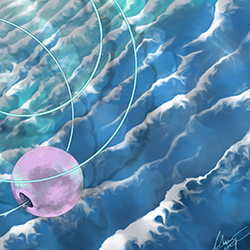 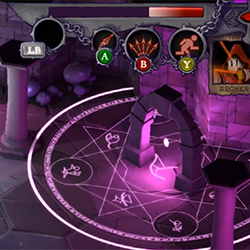 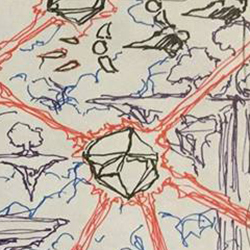 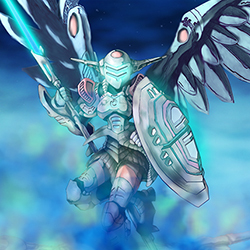 It is intended to allow the player to reflect on their in-game actions and strategy through visual record, and to approach the creation of art as an arena of action. 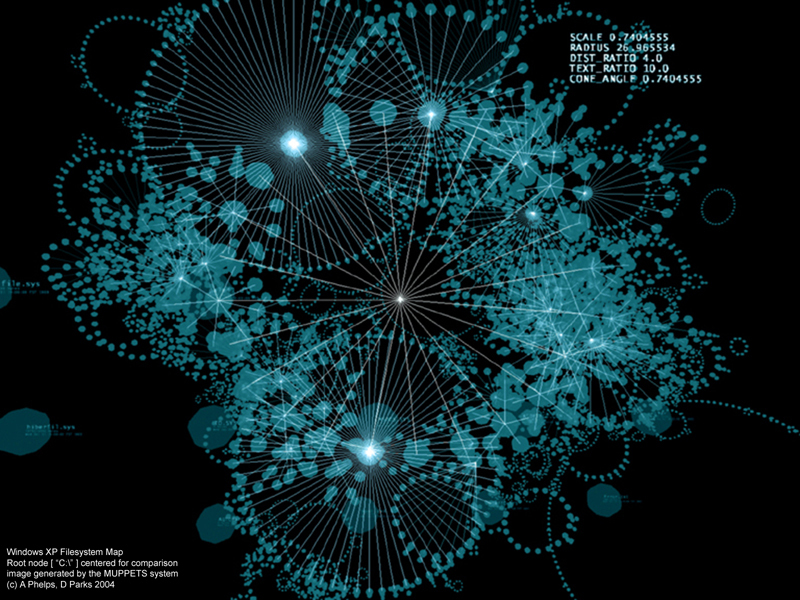 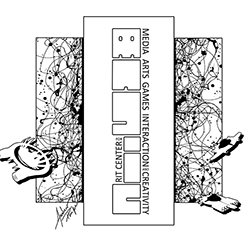 Art can thus be created, shared and discussed that comes "from inside the moment" of game-based decision. 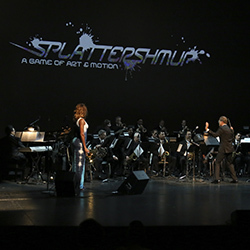 Splattershmup was featured in the Blank Arcade at the Digital Games Research Association (DIGRA) 2016 conference in Germany, was one of five finalists for Best Learning Game at the Games + Learning + Socity eleventh annual conference and showcase (GLS11), and was featured at the Indie Arcade in 2016 at the Smithsonian American Museum of Art. 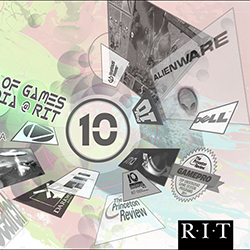 In addition, it was presented publicly at the Game Developer's Conference, Imagine RIT, and was chosen to represent the entire campus (in combination with live music, orchestra, and conductor) for the first-ever RIT West Coast Board of Trustees meeting. 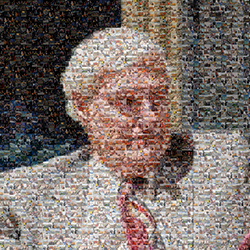 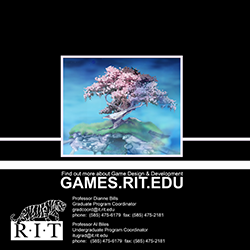 Over the years at RIT, Professor Phelps has been responsible for numerous designs, collages, postcards, posters, and visual designs representing the academic units he was associated with. 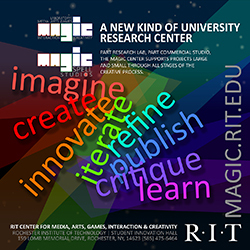 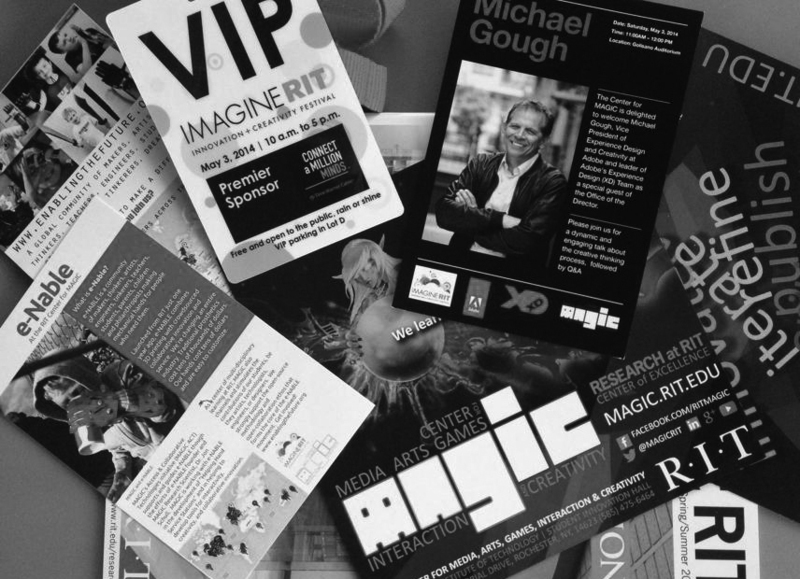 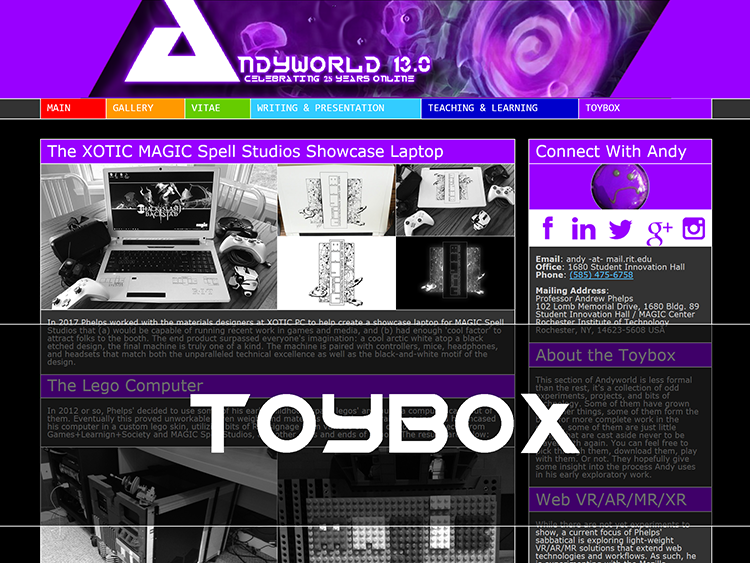 This is generally because there was not a budget for graphic design and branding initiatives, but also because the brand and visual aesthetic of the Game Design & Development program, the School of Interactive Games & Media, and perhaps most critically the MAGIC Center and associated studio often stood apart from the collective visual design of the university. 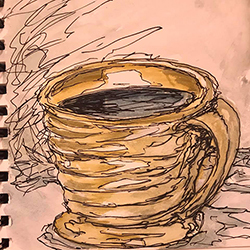 The designs here are an assortment of the kinds of pieces, materials, and visual work that has been ongoing during his various posts in leadership and administration. 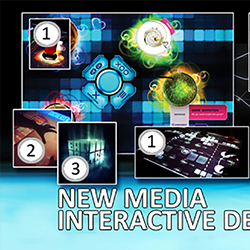 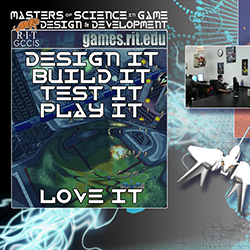 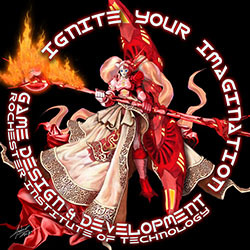 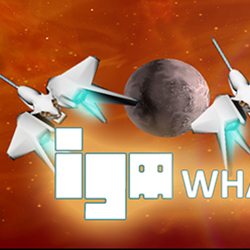 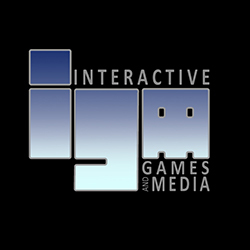 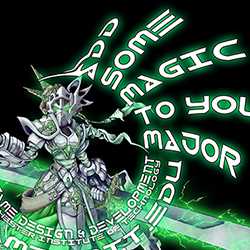 Several of these, such as the IGM logo, the desktop posters, and promotional postcards feature elements of other games, projects or designs created in collaboration with colleagues and students. 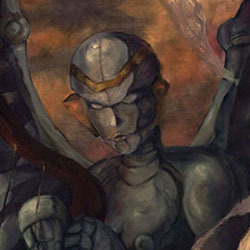 Nonetheless, the compositions and ultimate designs are original. 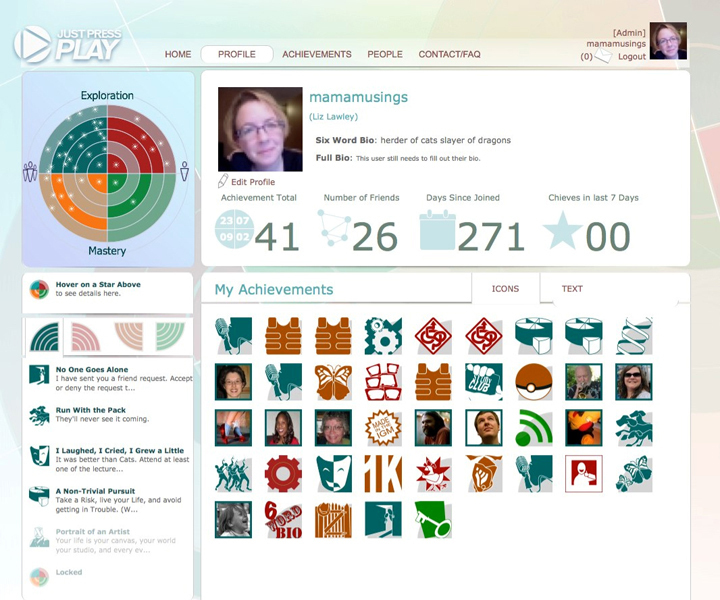 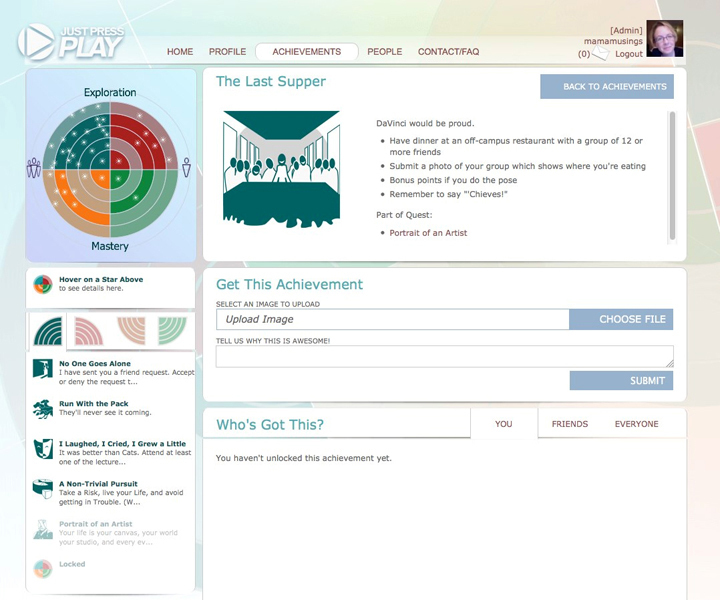 Just Press Play was an open-source digital and physical achievement system based on the idea that the behaviors of successful students are not just measured by academic success, but is rather a culmination of social, creative, collaborative, and academic behaviors in unison. 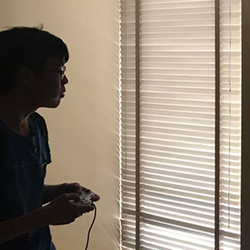 The goal was to develop a game-based achievement system that helps our students navigate the intellectual, social, and developmental challenges of their undergraduate experience, and provides them with a clearer picture of their progress. 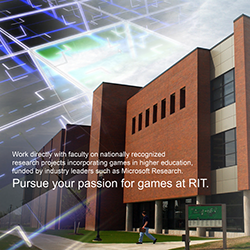 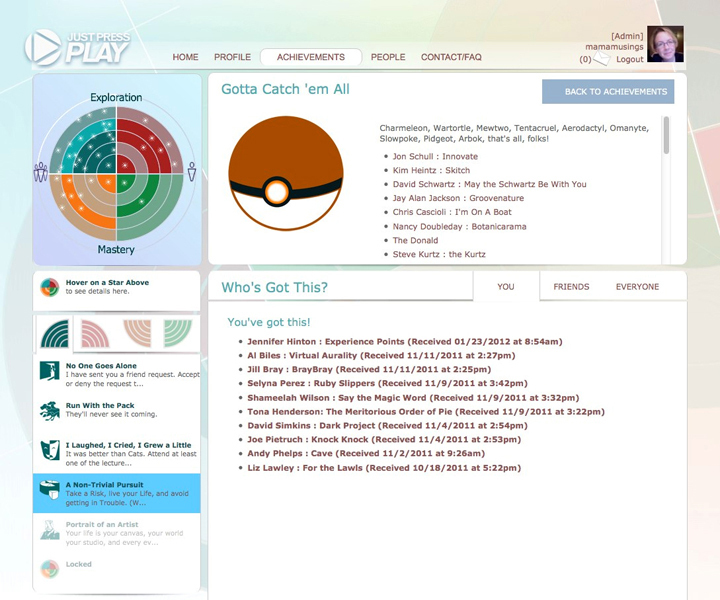 The first phase is the design and development of a small-scale, "proof of concept" pilot project to address the very specific needs of undergraduate students in a games-focused department at a technical university, such as the Interactive Games and Media unit at the Rochester Institute of Technology. 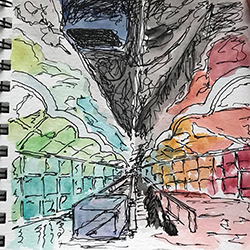 The second phase created a cloud-based platform and library for other universities and departments to use in creating their own similar efforts. 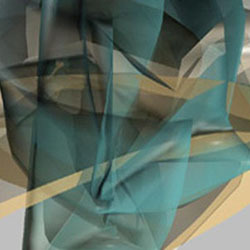 This effort is funded through a gift from Microsoft Research Connections. 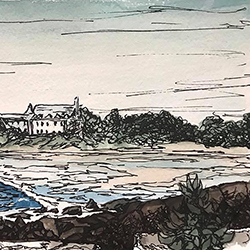 Phelps served as the director of IGM during the project, was instrumental in securing the funding and support, and worked with the entire department/school in facilitating the overall effort, and in supporting Prof. Lawley as the project manager and principal investigator of the work. 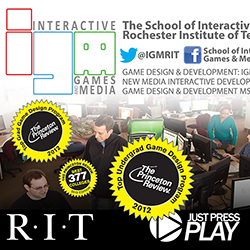 He is pictured below as a part of the 'Run The Gauntlet' achievement with RIT President William Destler and the Just Press Play core team. 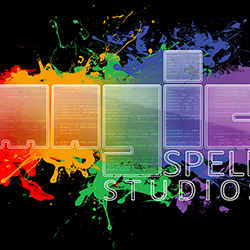 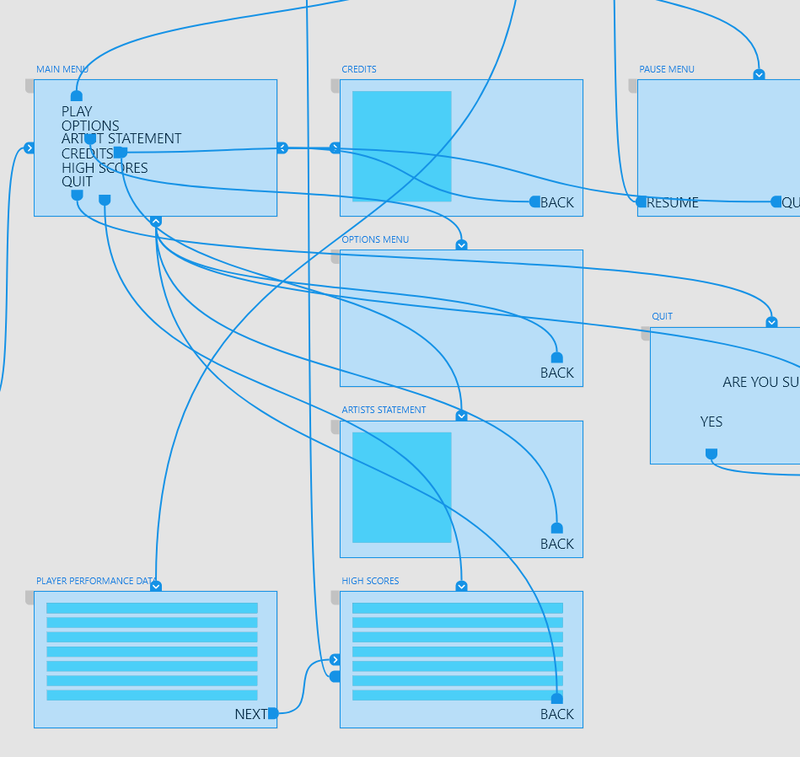 The Multi-User Programming Pedagogy for Enhancing Traditional Study (M.U.P.P.E.T.S.) 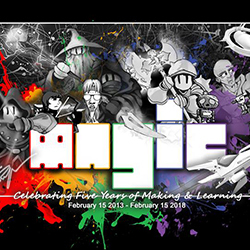 was a virtual world environment in which students can learn programming through the creation of compelling graphical, interactive content. 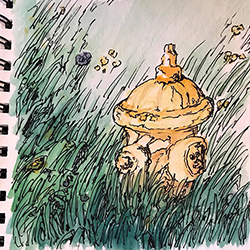 The M.U.P.P.E.T.S. 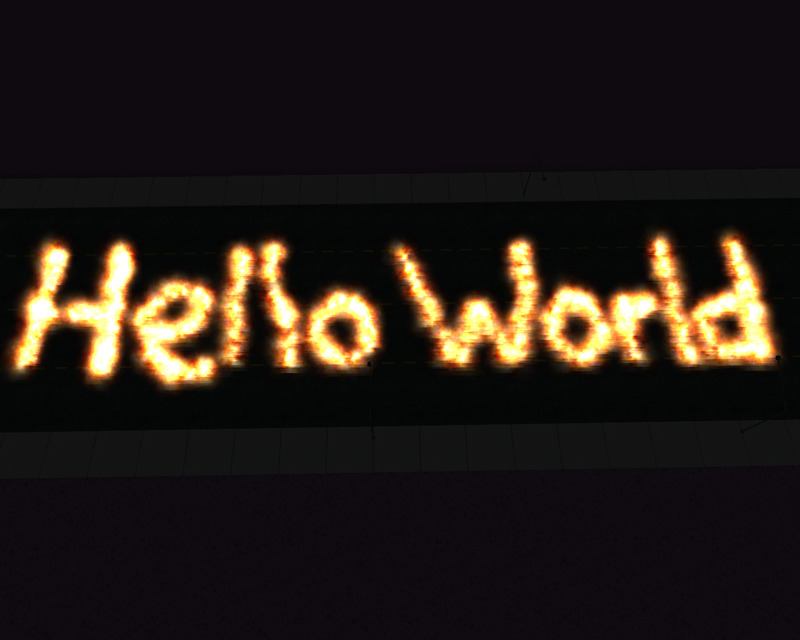 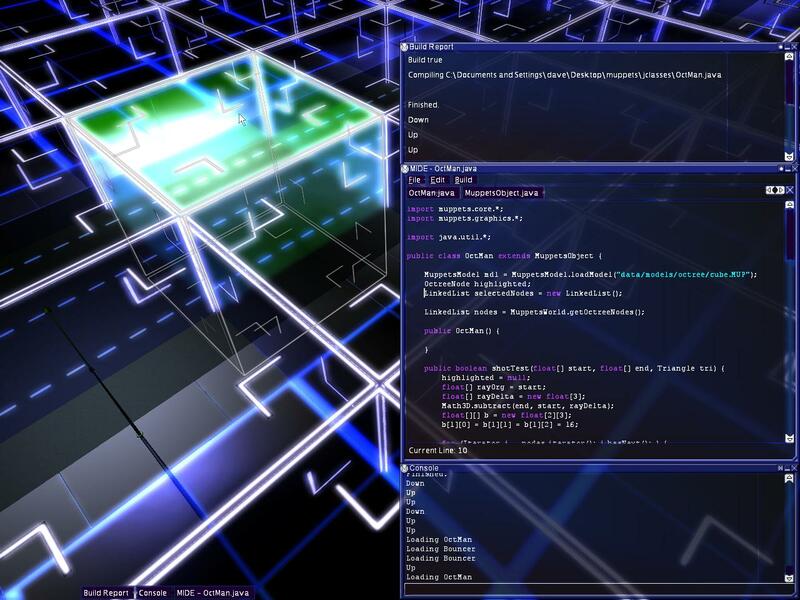 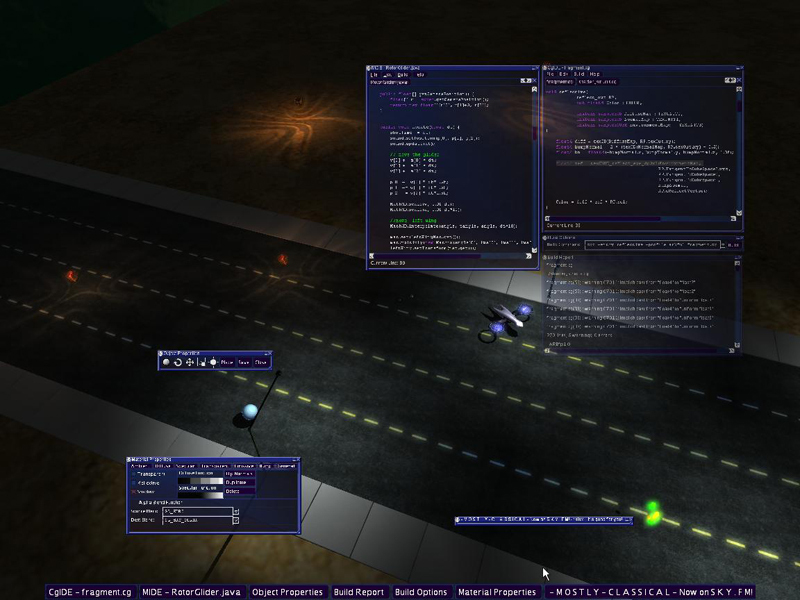 engine was developed from scratch using state-of-the-art practices from the entratinment technology sector, boasting such features as OpenGL/DirectX accelerated multipass rendering solutions, octree systems, support for model formats, advanced lighting and shading, and much more. 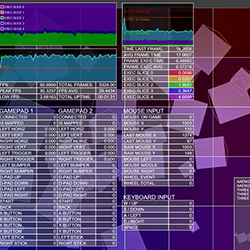 Along with graphics support, the engine supported networking, user interface creation and layout, persistence mechanisms, and audio. 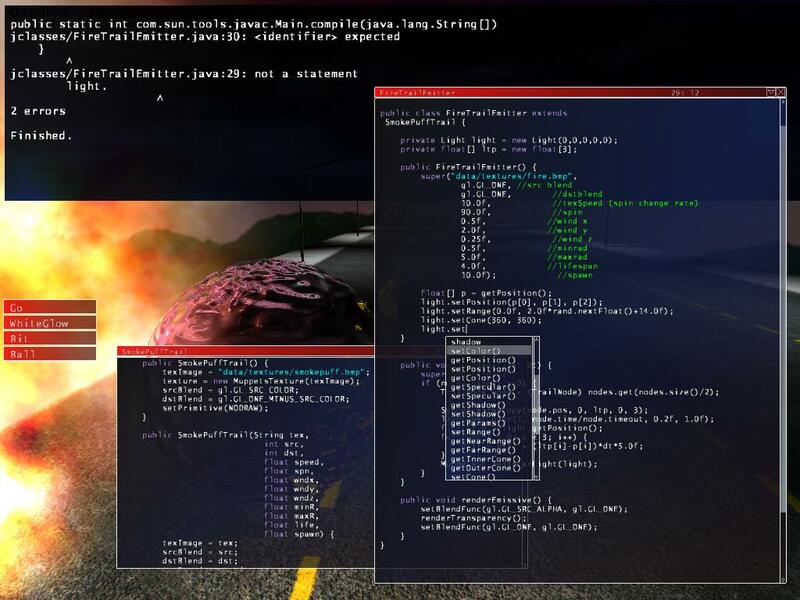 These features are also combined with support for Sun Microsystems' Java and Microsoft's C# programming languages allowing users to script the engine in real time. 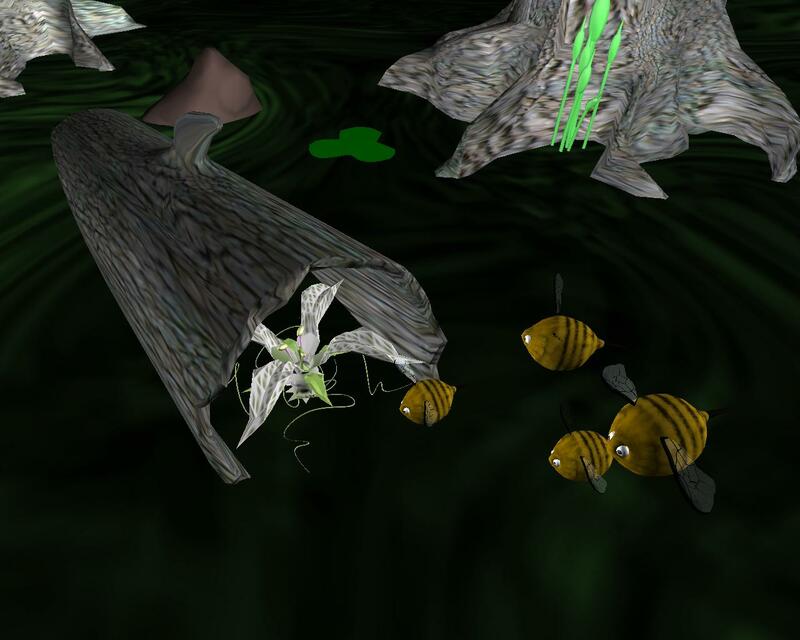 The purpose of the M.U.P.P.E.T.S. 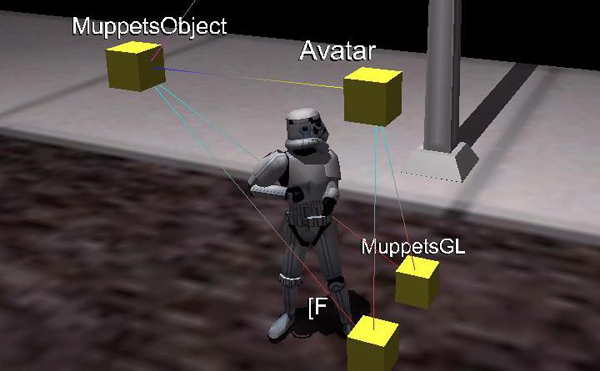 platform was to support to support objects-first pedagogy for introductory programmers, allowing novice programms to create and extend a virtual 3D world right from the beginning. 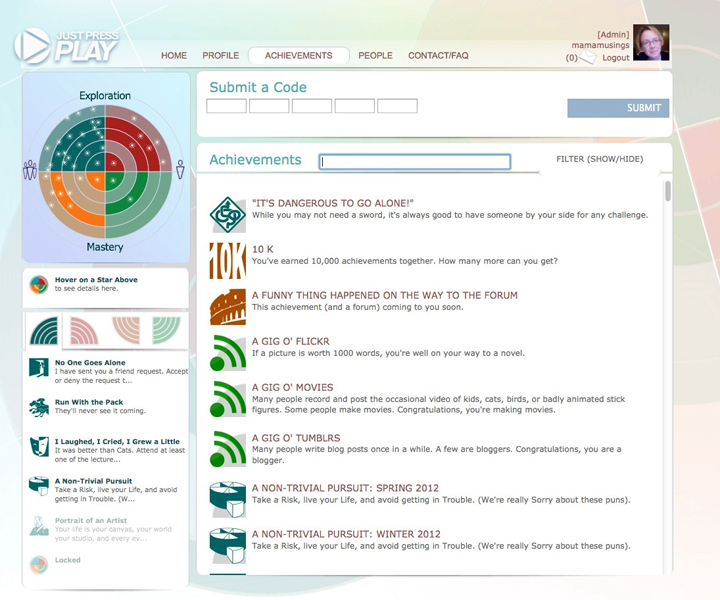 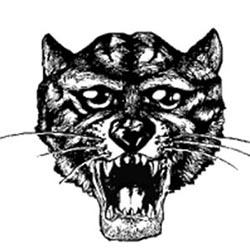 In addition, involvement has included the supervision, instruction, and co-development with students attempting to solve difficult problems within M.U.P.P.E.T.S., including managed/unmanaged code interoperability, thread management, and debugging for multi-processor systems, as well as application areas ranging from educational games for foriegn language aquisition, molecular visualization and scientific rendering, support for virtual theatre and mixed reality performances, and the creation of advanced 3D games in downstream coursework. 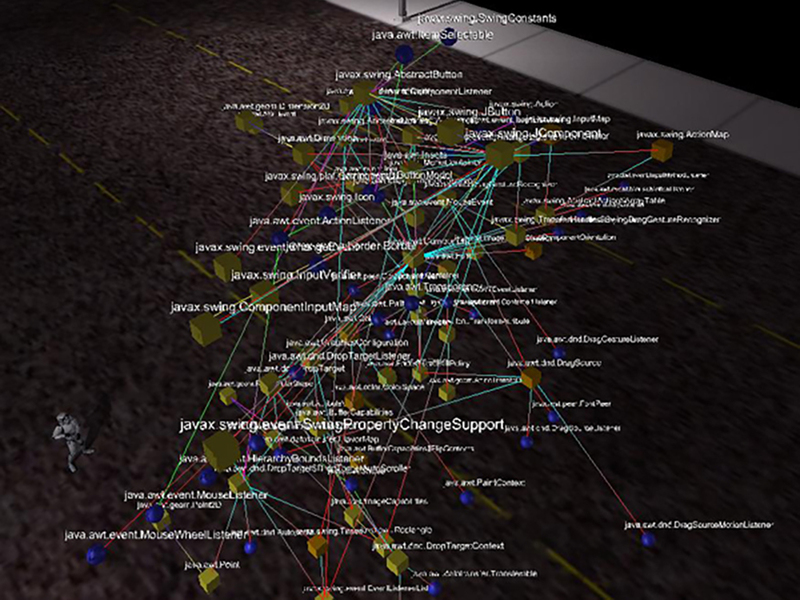 This effort was funded through partnership with Microsoft Research. 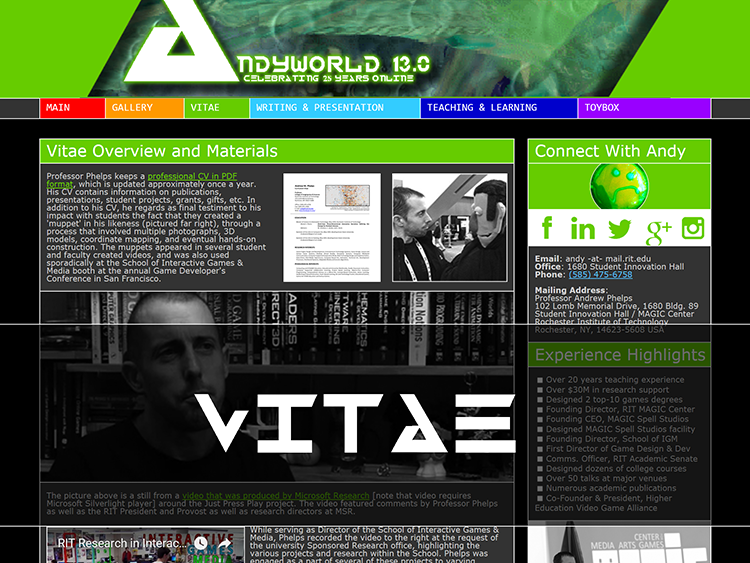 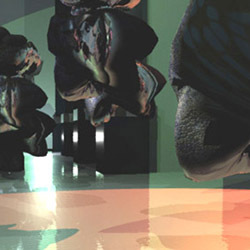 Numerous papers and articles were published about the platform and its educational impact, as noted in Phelps' CV, including a 2005 SIGGRAPH Course.  M.U.P.P.E.T.S. 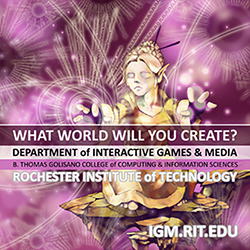 was also the first project to be formally released as Open Source within the RIT B. Thomas Golisano College of Computing & Information Sciences. 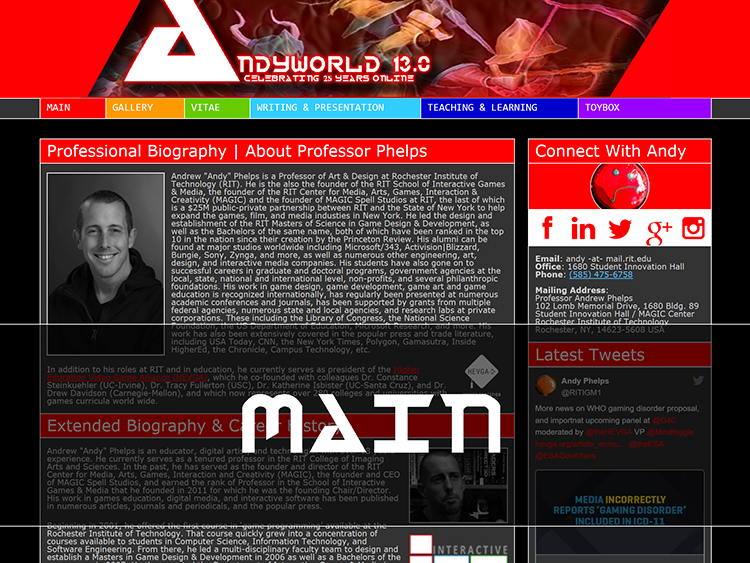 Phelps ran the M.U.P.P.E.T.S. 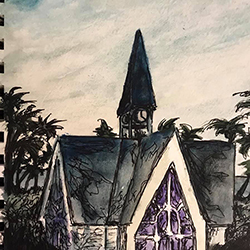 research group with involvement and support from Prof. Chris Egert and Prof. Kevin Bierre, as well as students David Parks and Peter Kuhn, among numerous others. 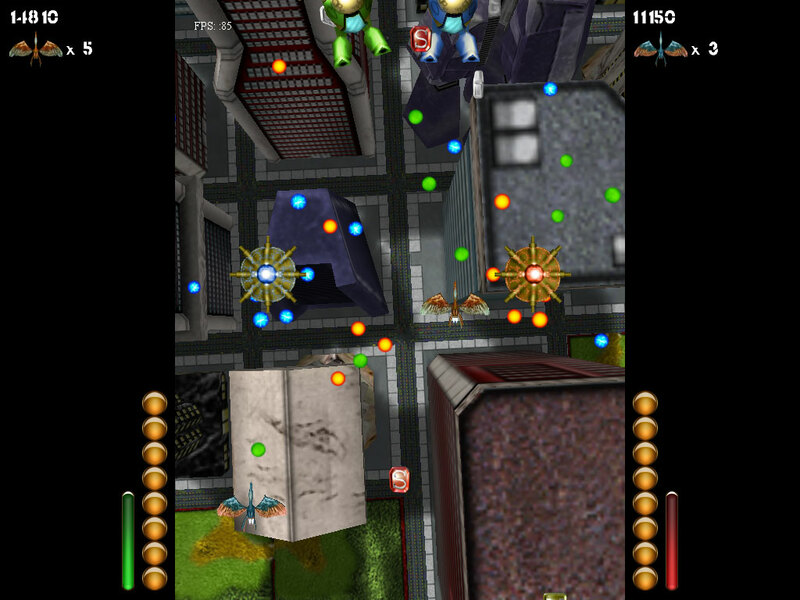 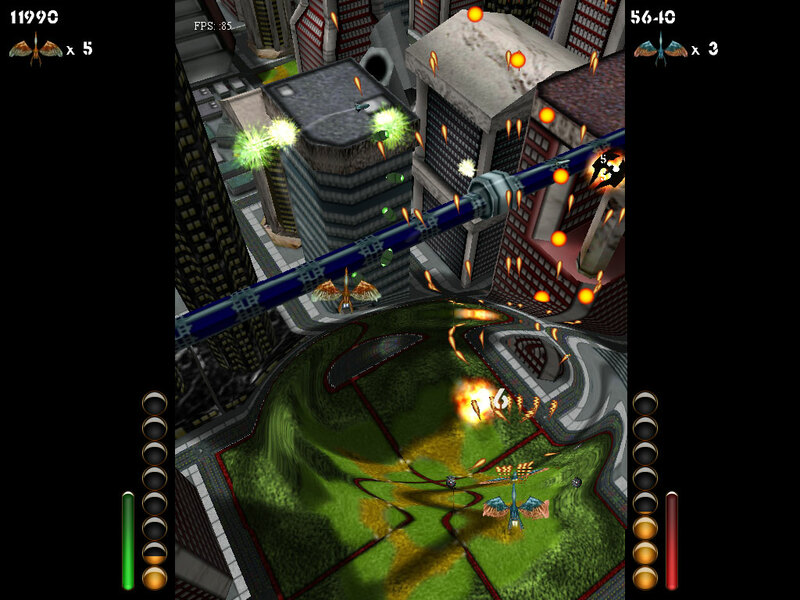 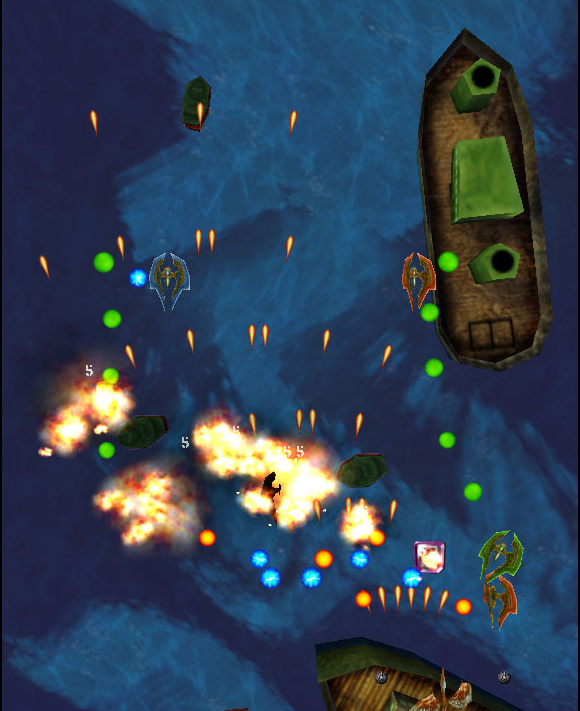 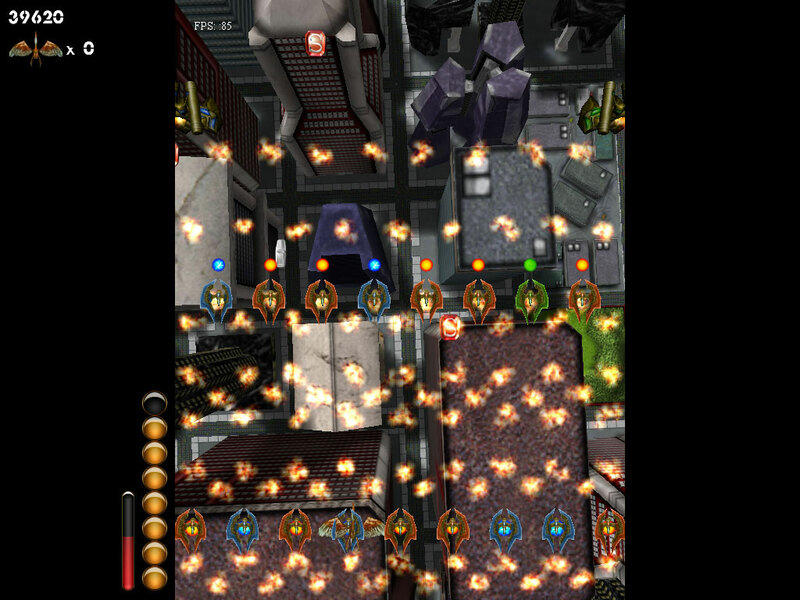 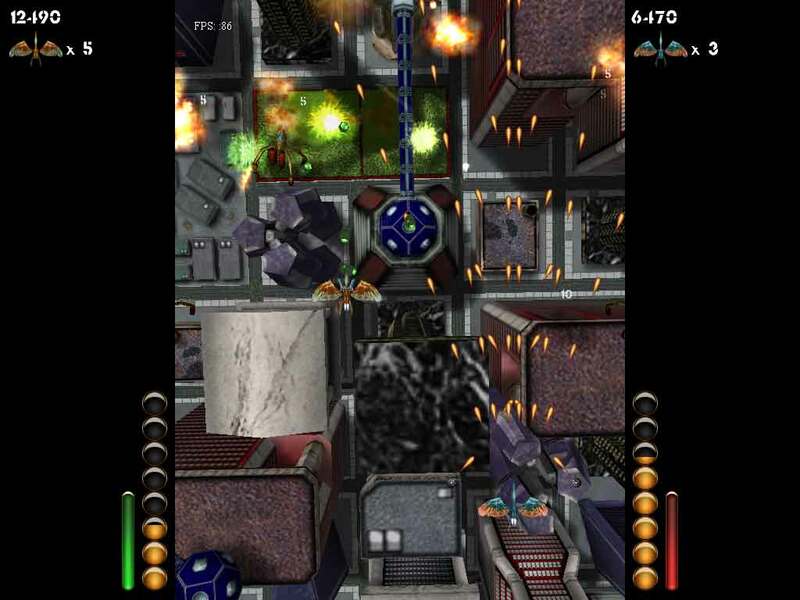 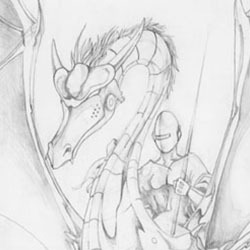 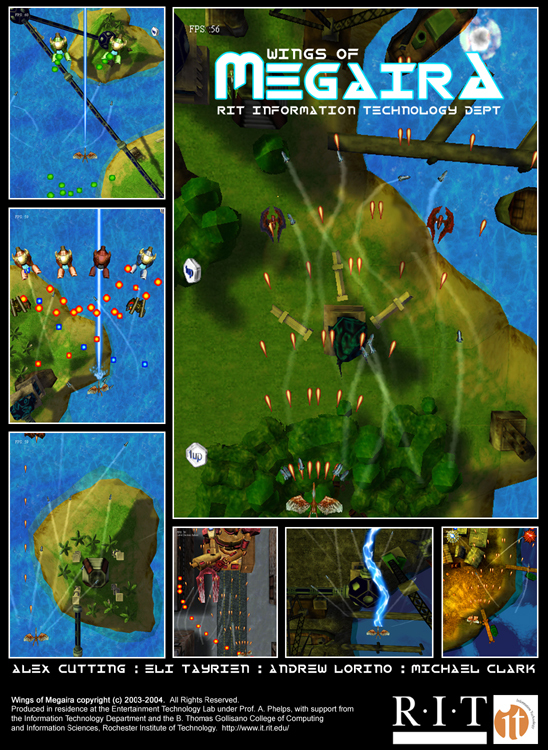 In the summer of AY2004 Phelps conceived of a small vertical shmup game to help showcase the growing work in game design at RIT in the Information Technology department (this work predating both the games degrees and the school that would later be established). 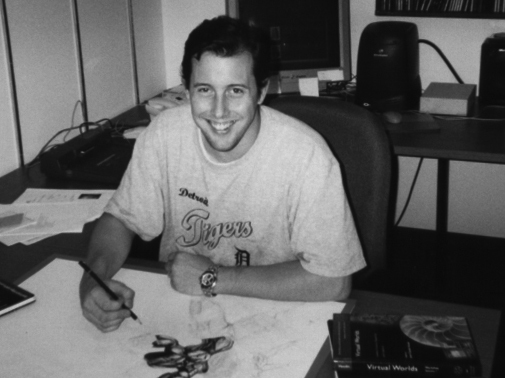 Working with students from his 2D and 3D programming class, Phelps oversaw production of the game during the spring and summer, which eventually helped land the students involved careers in industry as well as hone their experiences in engine development, game design, and DirectX. 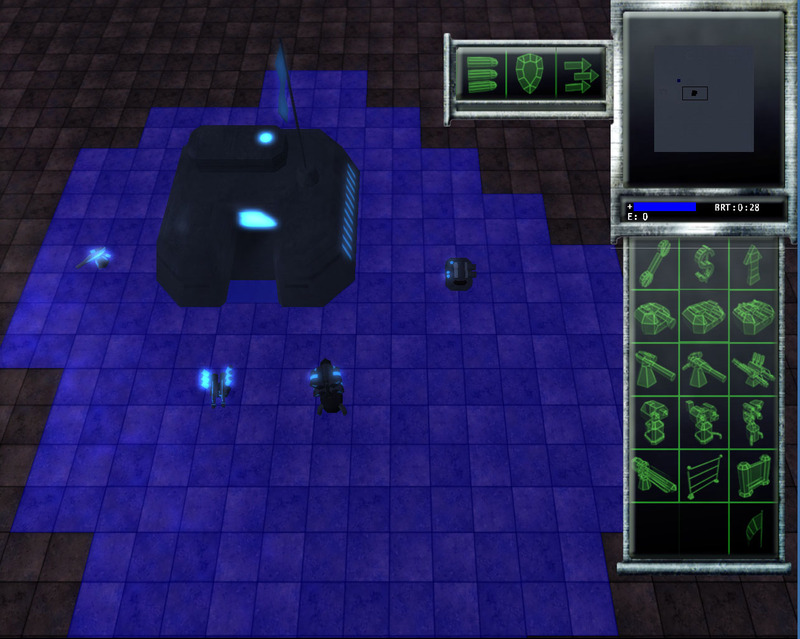 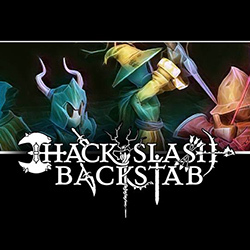 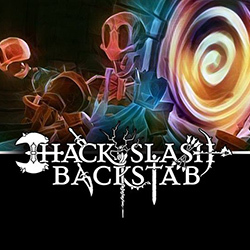 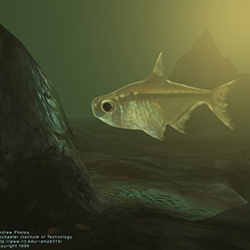 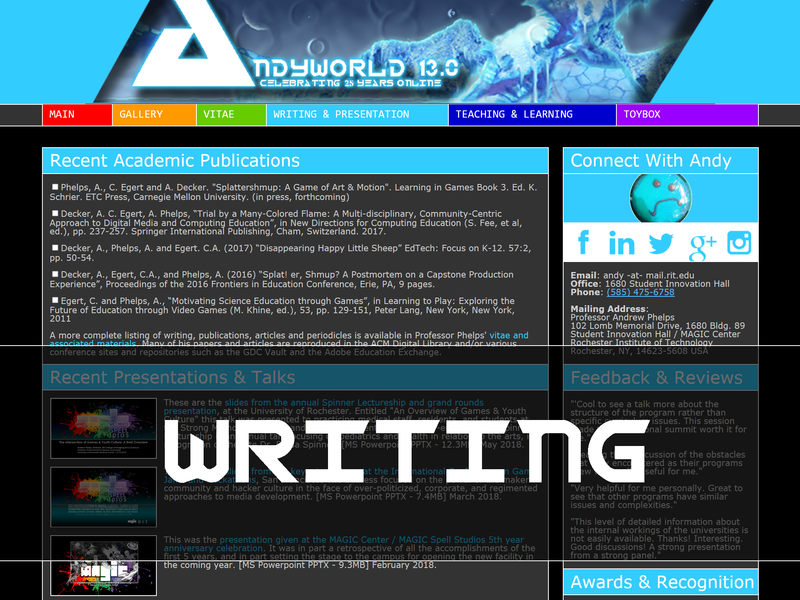 Numerous smaller projects and experiments in lightmapping, collision detection, rendering, and other issues were brought together in this piece, which was eventually a submission in the Independent Game Festival in 2005. 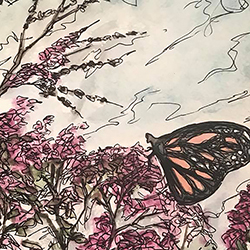 This section of the gallery features several works by Phelps spanning time spent in residence at Bowling Green State University, time teaching and practicing in the Information Sciences & Technologies faculty at RIT, and time at IGM, MAGIC, and more. 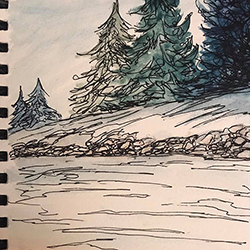 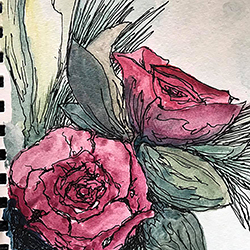 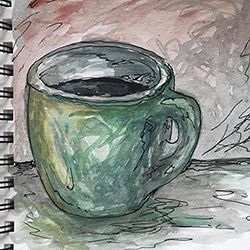 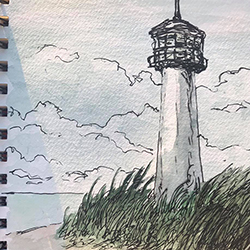 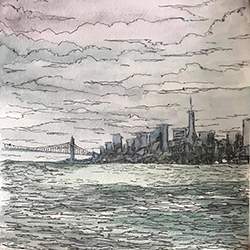 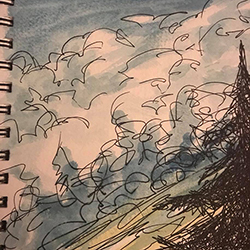 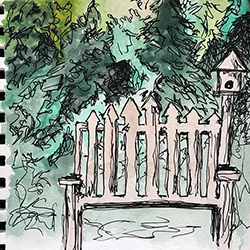 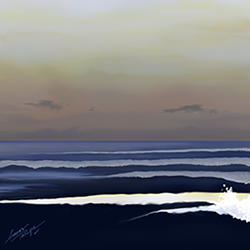 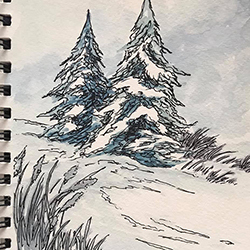 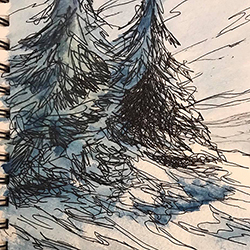 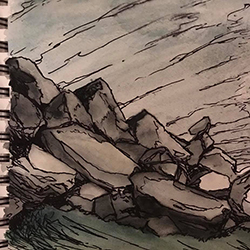 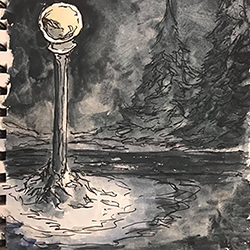 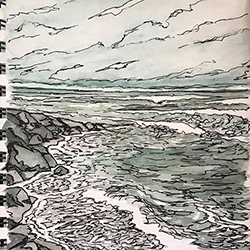 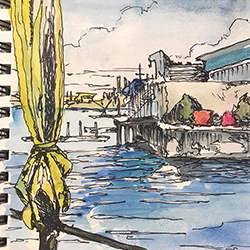 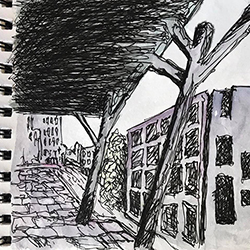 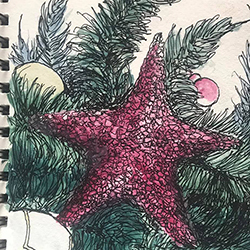 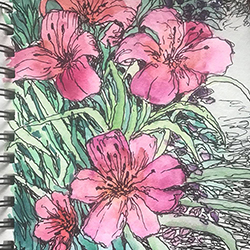 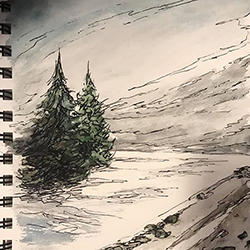 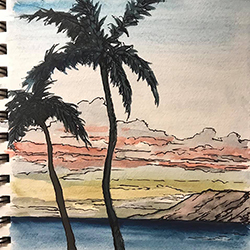 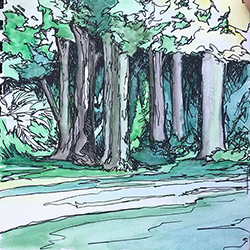 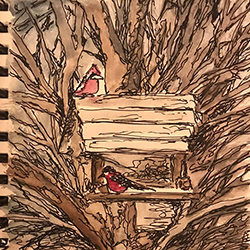 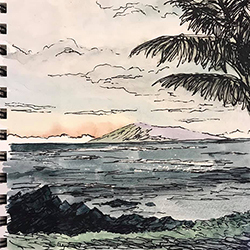 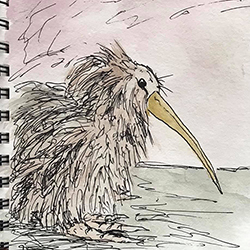 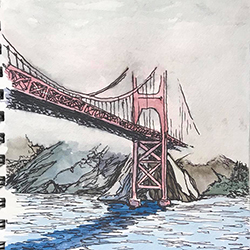 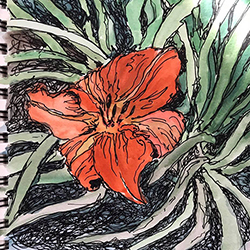 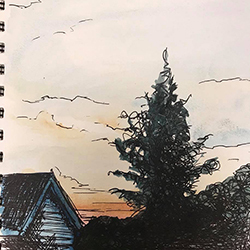 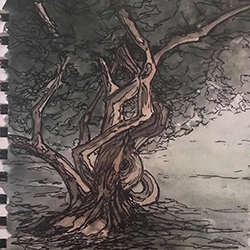 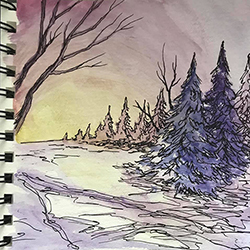 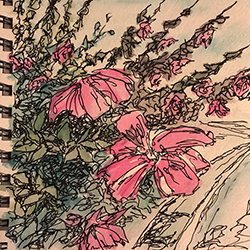 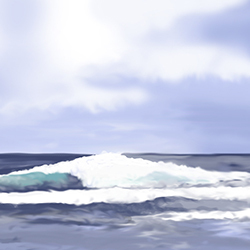 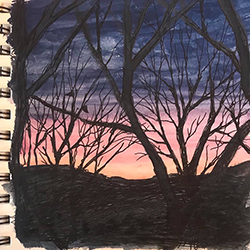 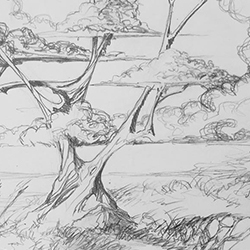 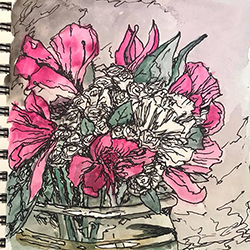 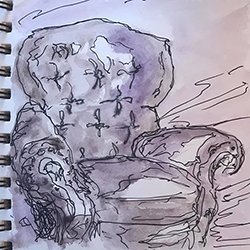 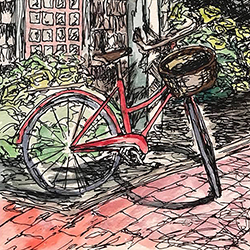 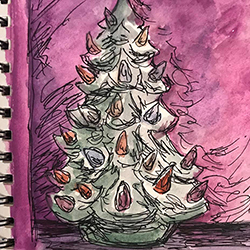 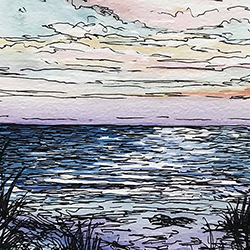 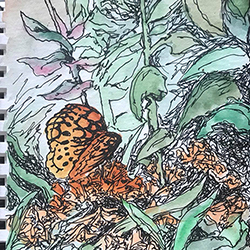 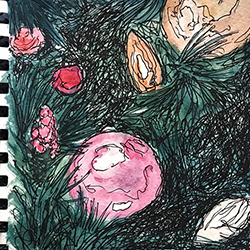 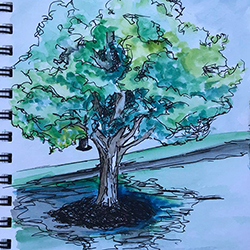 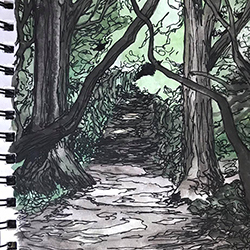 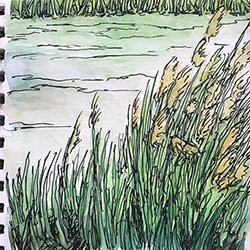 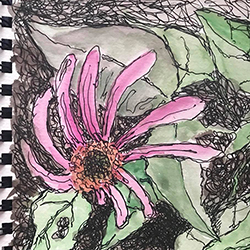 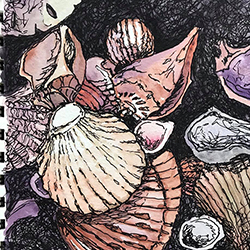 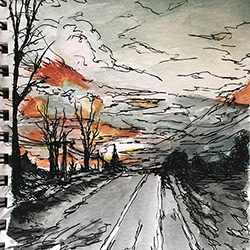 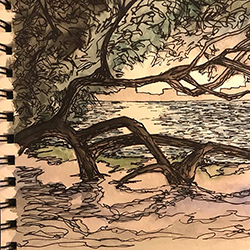 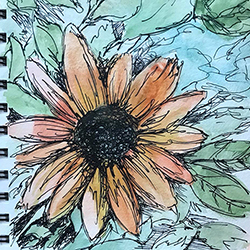 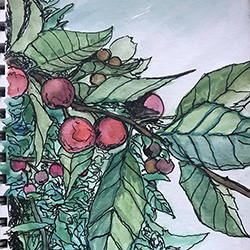 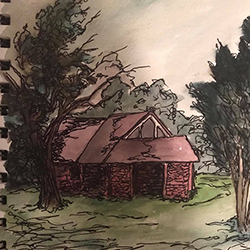 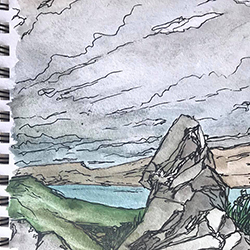 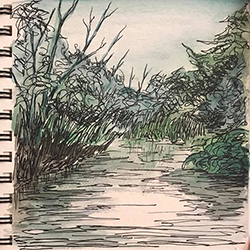 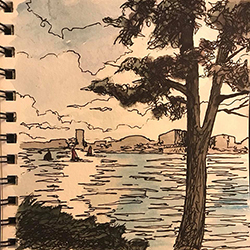 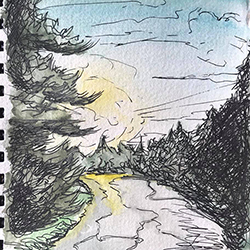 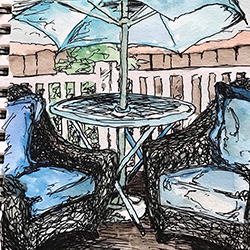 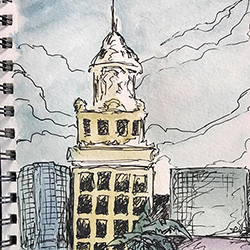 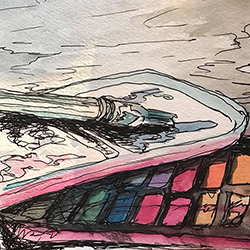 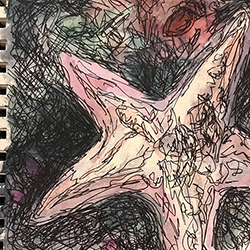 Pieces include casual sketches, favorite paintings in oils, acrylics, and watercolors, digital 2D and 3D graphics, pen and pencil, pastels, and other media. 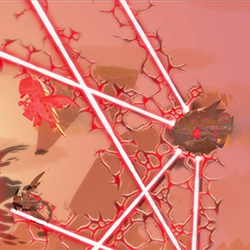 Also of note is his personal favorite Splattershmup painting, which was produced during personal development and game engine testing. 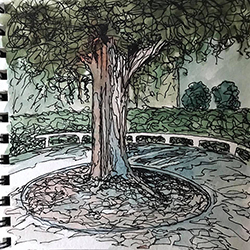 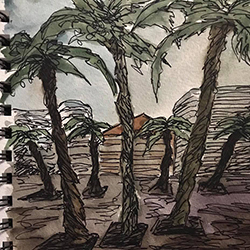 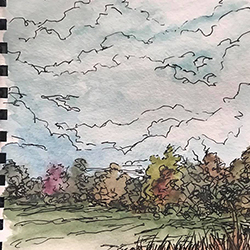 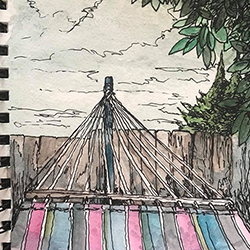 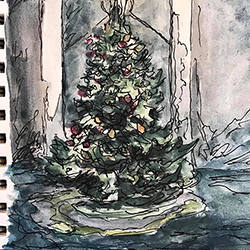 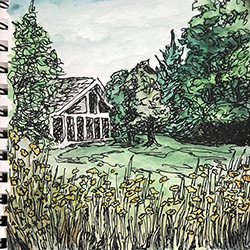 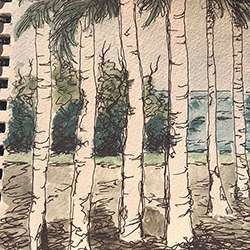 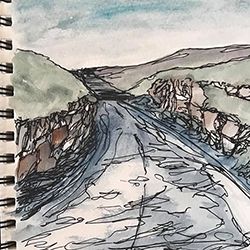 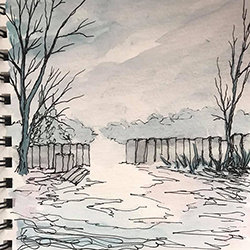 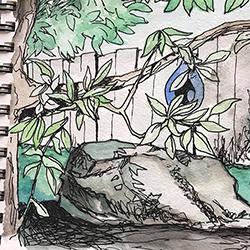 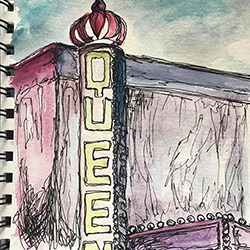 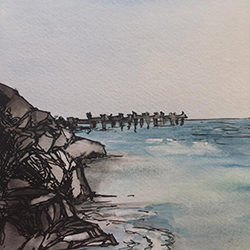 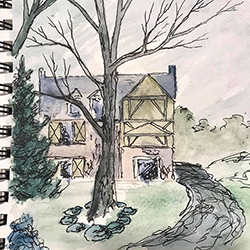 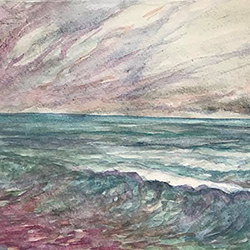 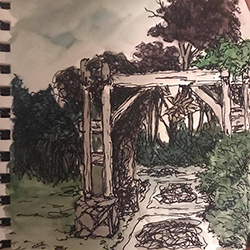 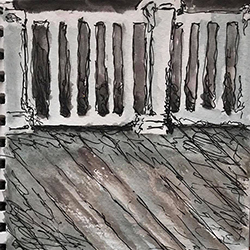 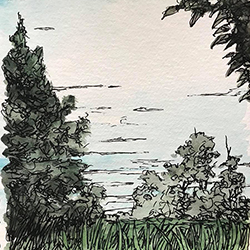 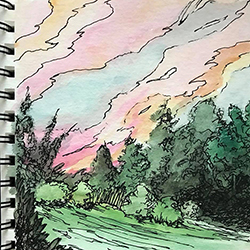 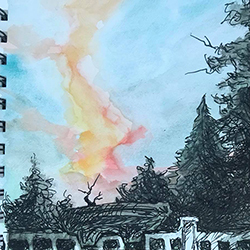 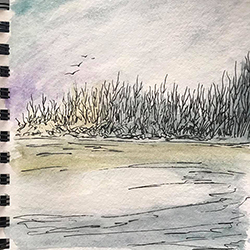 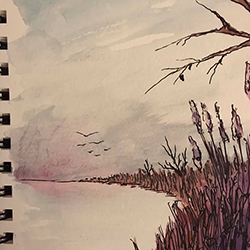 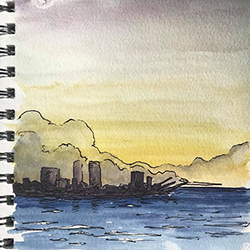 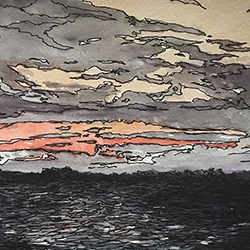 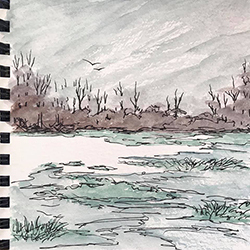 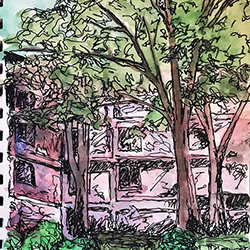 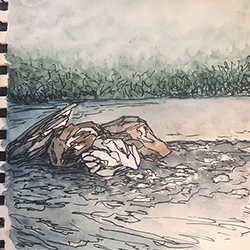 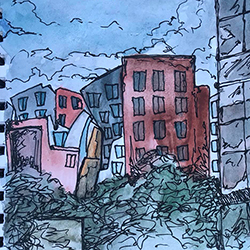 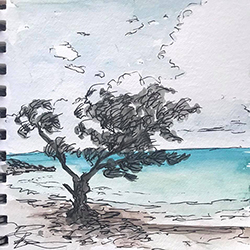 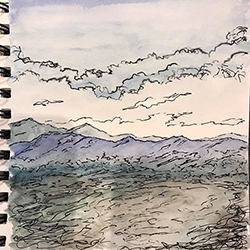 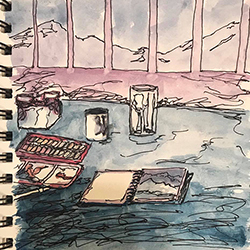 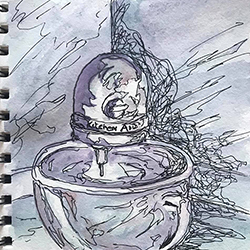 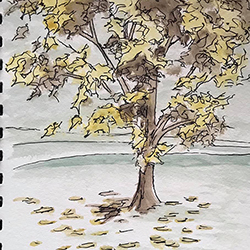 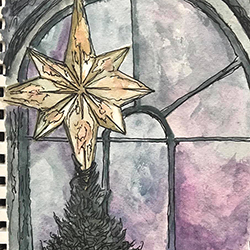 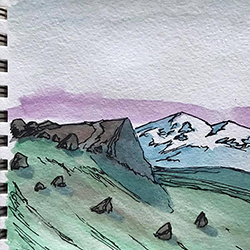 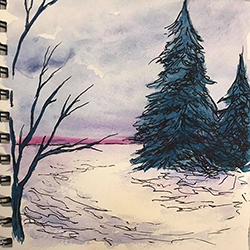 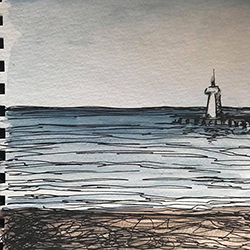 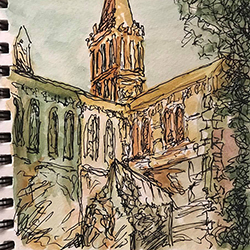 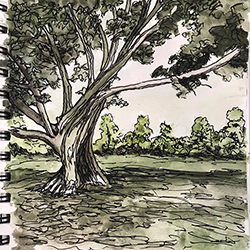 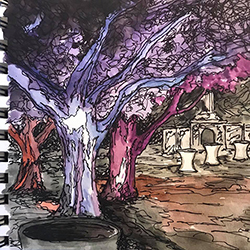 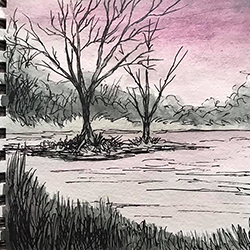 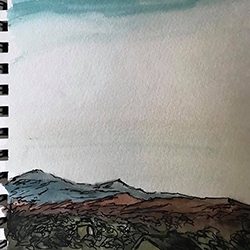 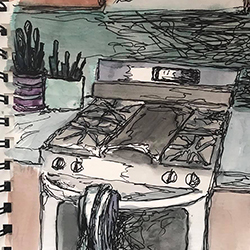 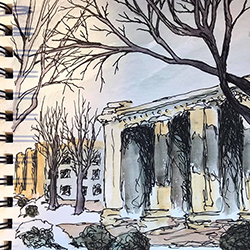 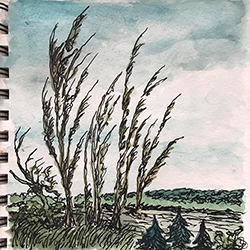 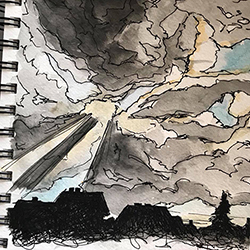 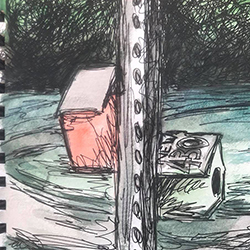 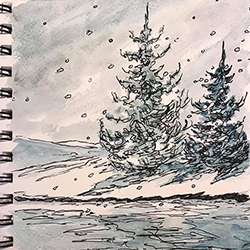 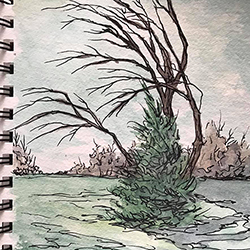 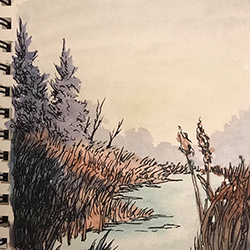 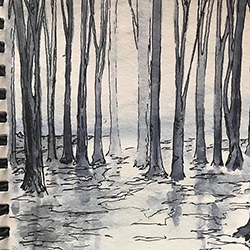 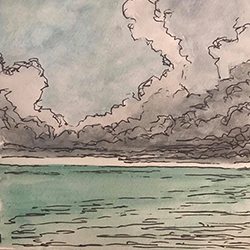 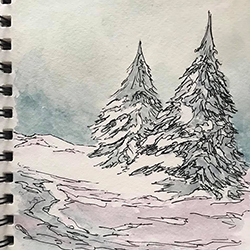 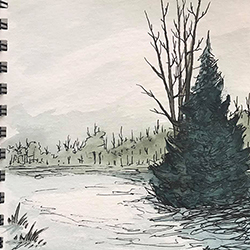 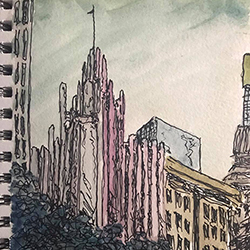 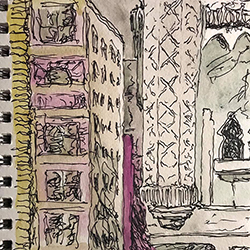 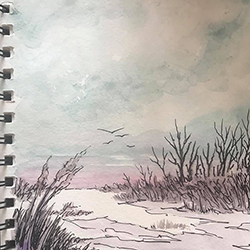 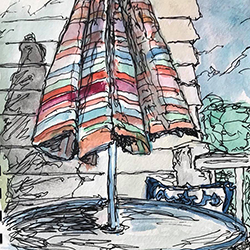 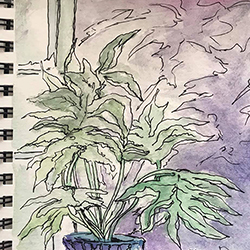 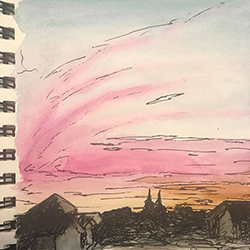 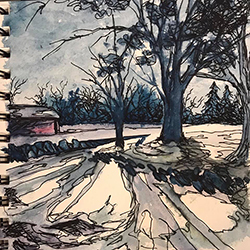 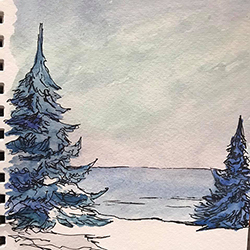 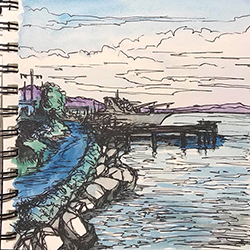 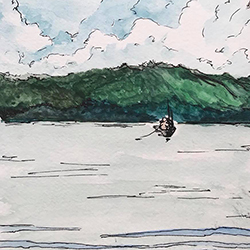 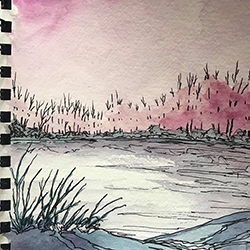 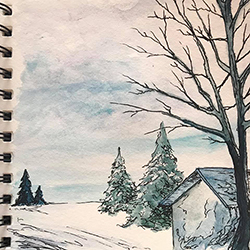 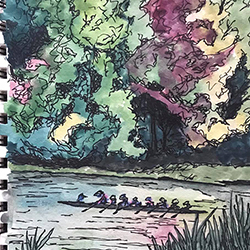 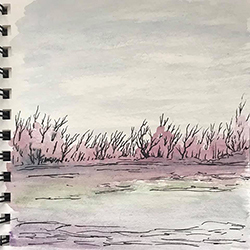 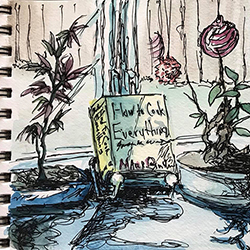 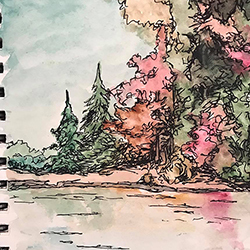 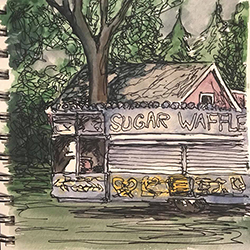 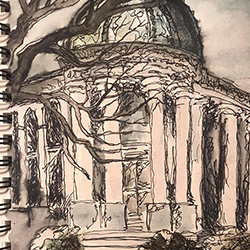 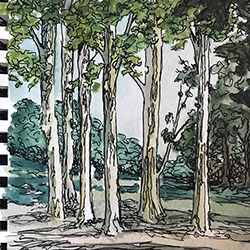 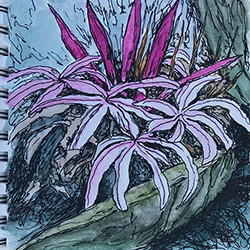 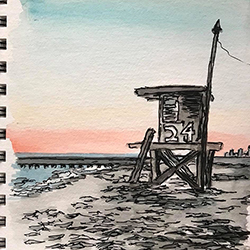 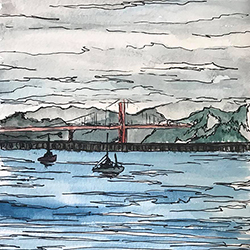 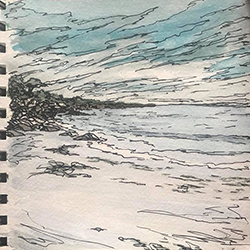 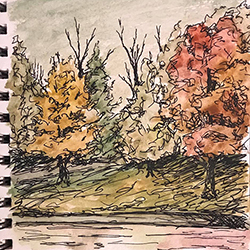 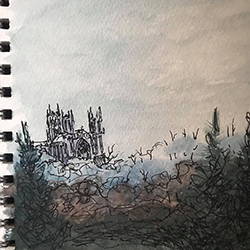 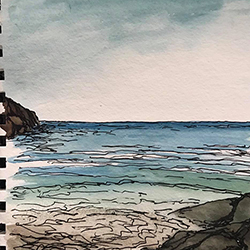 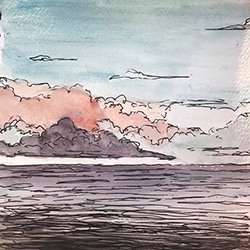 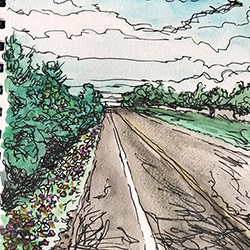 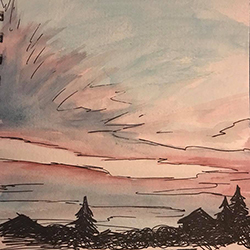 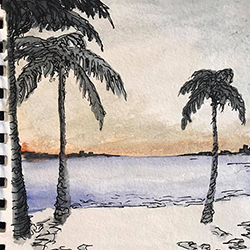 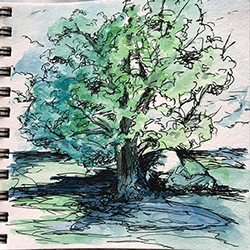 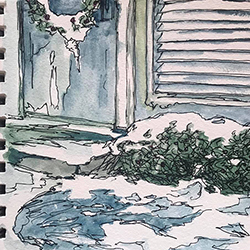 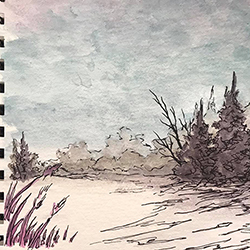 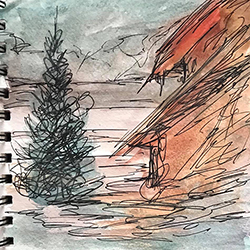 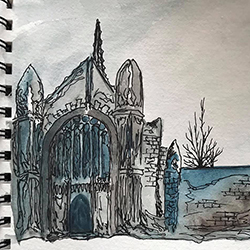 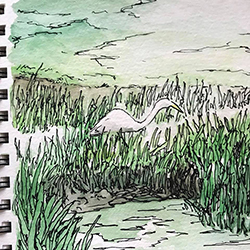 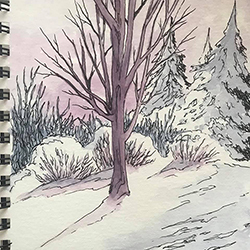 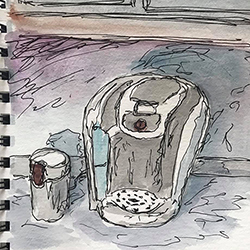 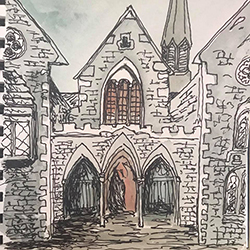 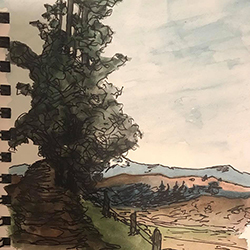 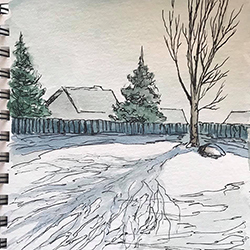 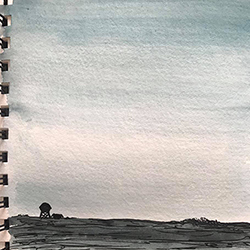 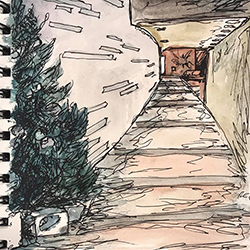 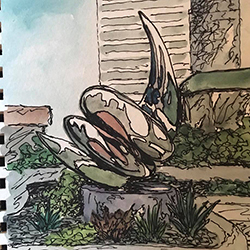 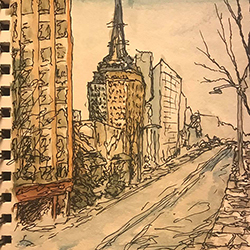 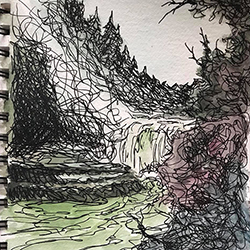 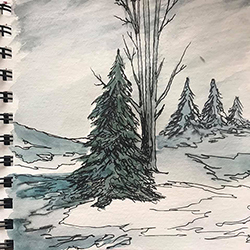 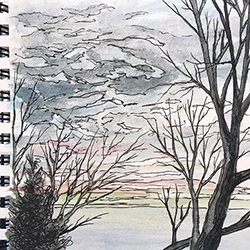 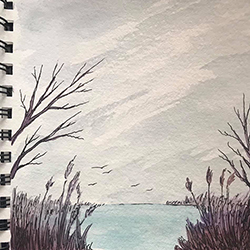 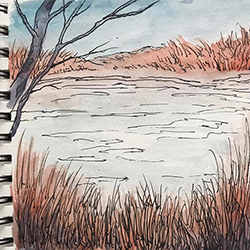 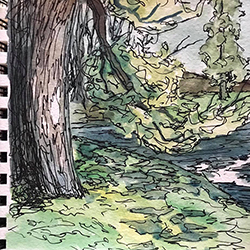 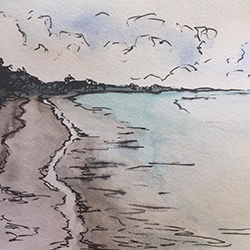 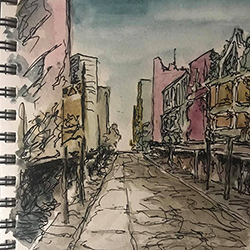 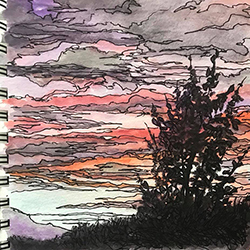 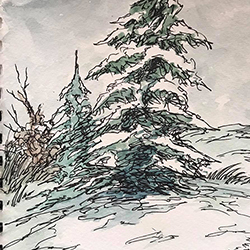 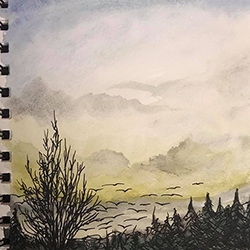 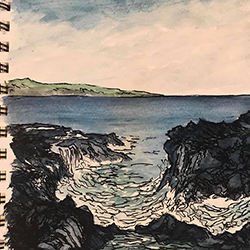 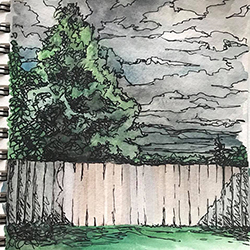 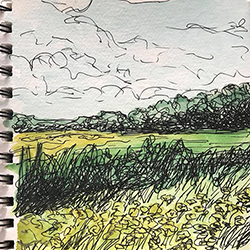 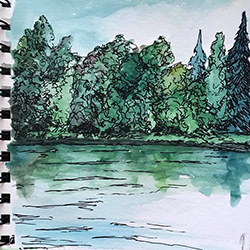 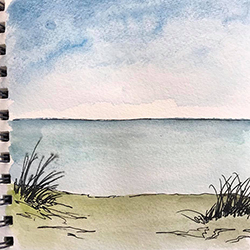 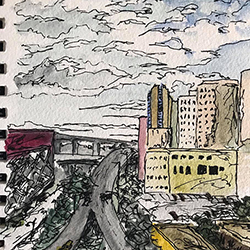 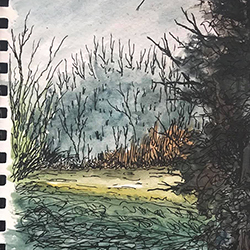 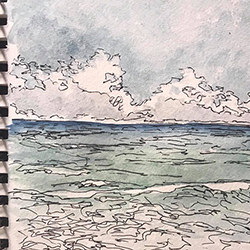 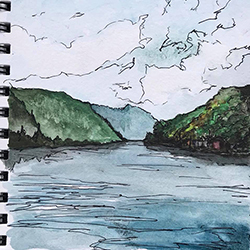 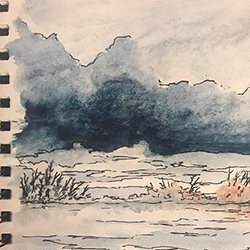 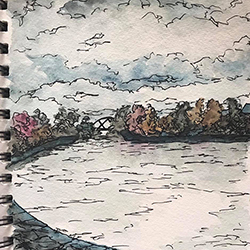 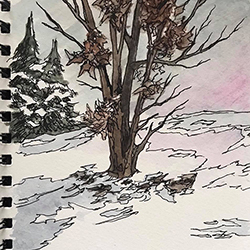 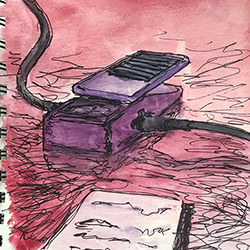 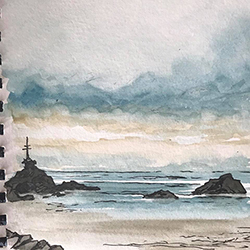 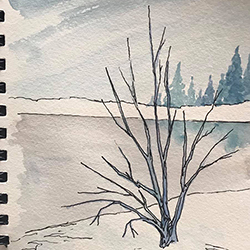 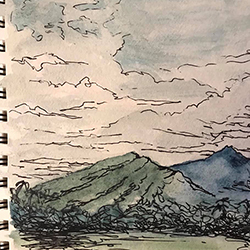 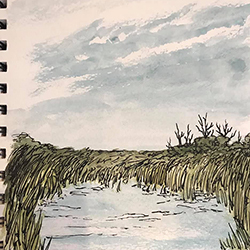 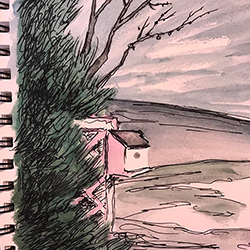 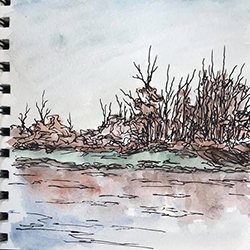 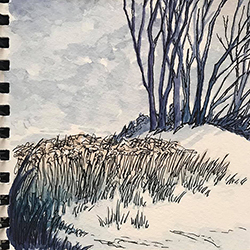 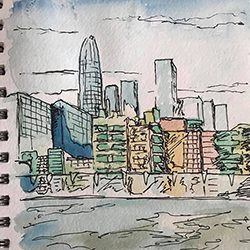 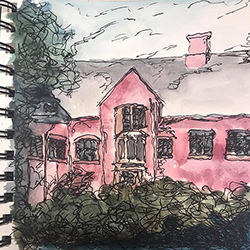 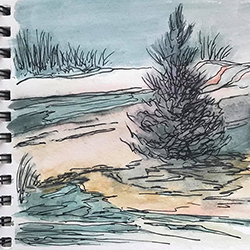 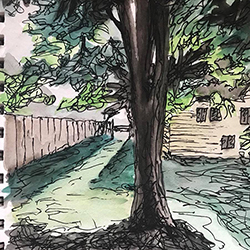 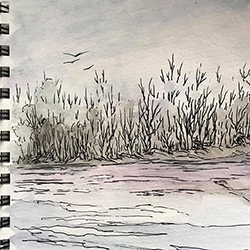 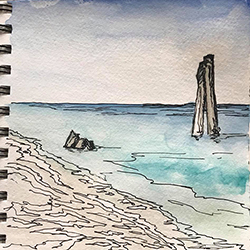 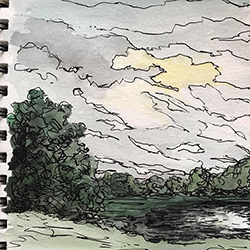 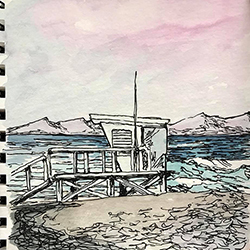 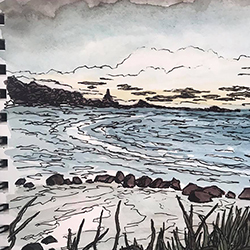 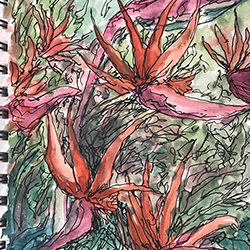 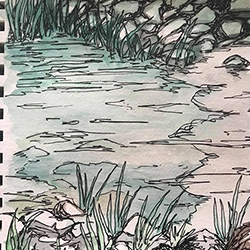 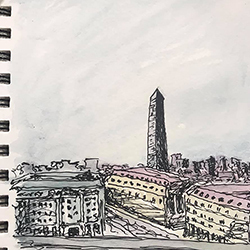 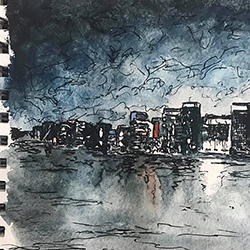 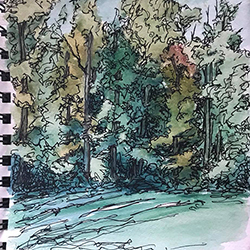 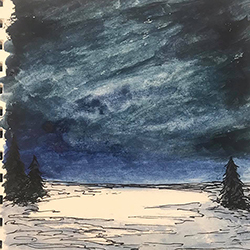 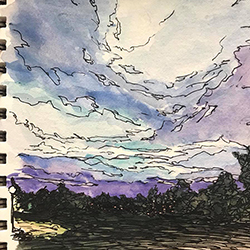 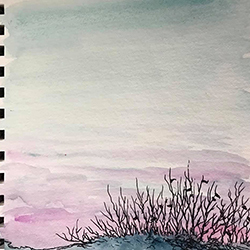 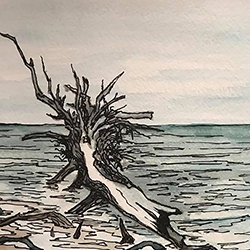 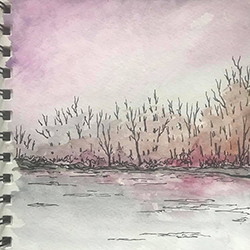 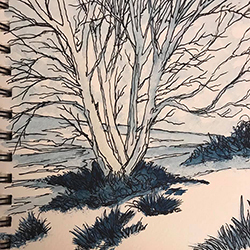 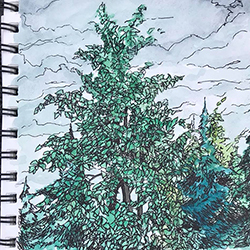 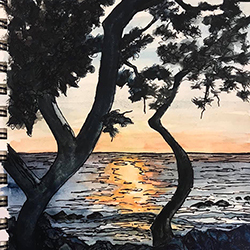 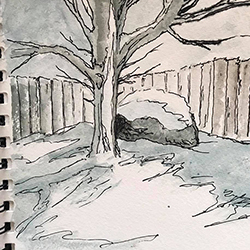 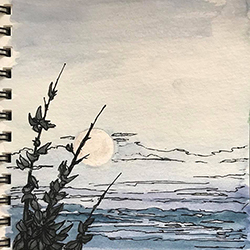 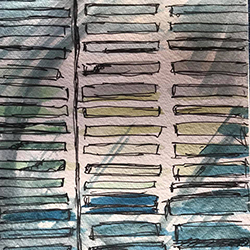 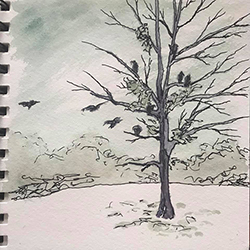 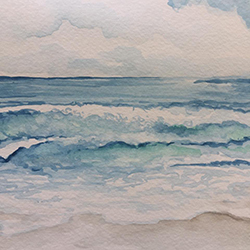 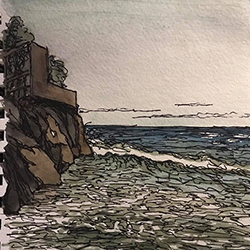 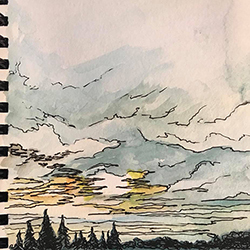 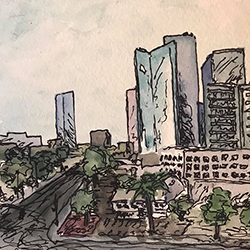 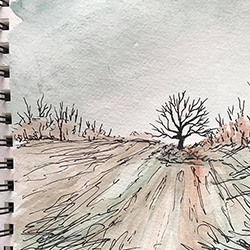 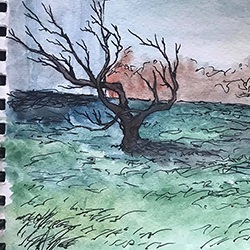 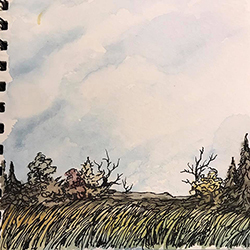 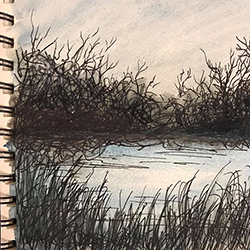 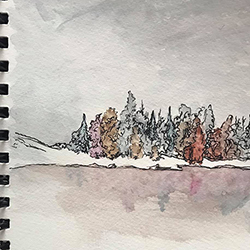 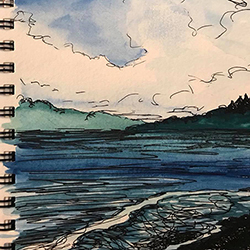 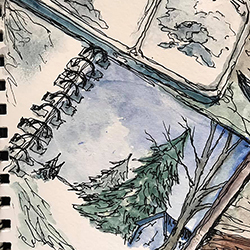 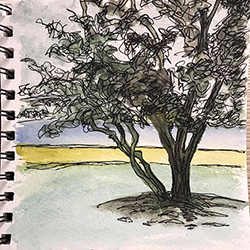 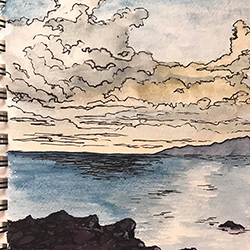 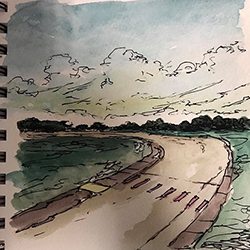 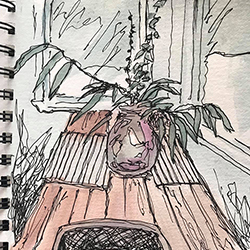 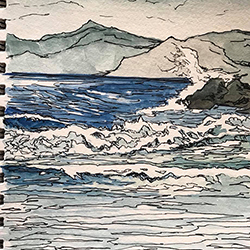 This section of the gallery features several small watercolors that were daily work during Phelps' sabbatical from 2018-2019. 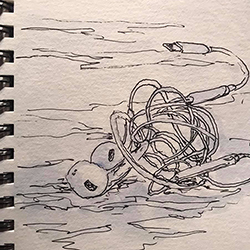 They are intended to be short, quick works capturing moments in the world during that time. 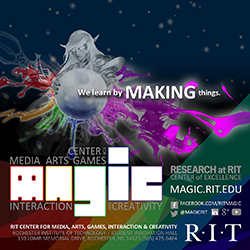 In creating the games, designs, arworks, and projects featured here, Professor Phelps notes his core belief in a design-centric, constructionist approach to both education and to his own work: we learn by making things. 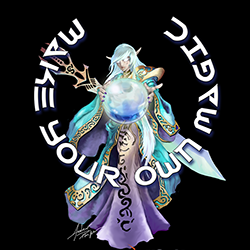 This was the motto established at the MAGIC Center during his founding tenure, and a core principle that guides is own work and practice. 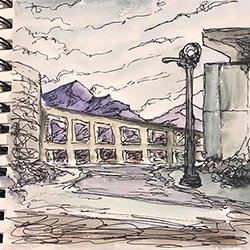 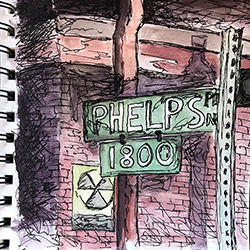 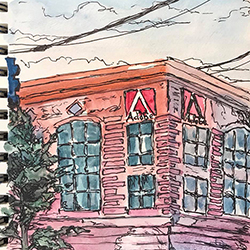 Professor Phelps works primarily in the Adobe Creative Suite, Unity, Autodesk 3D tools, and Visual Studio, although little bits and peices of tech are always being explored and incorporated. 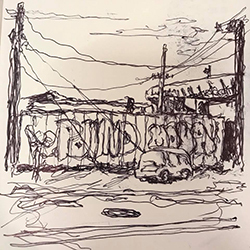 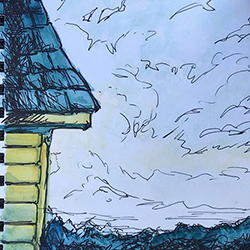 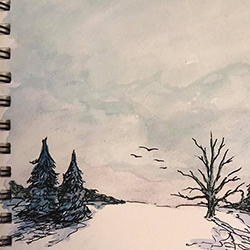 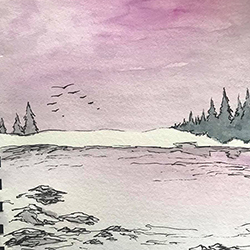 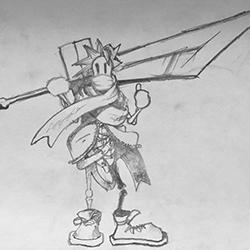 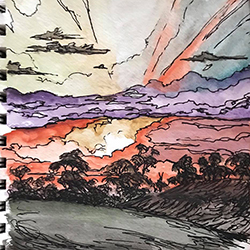 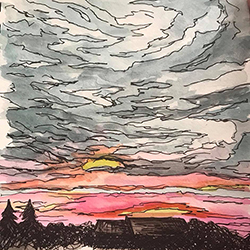 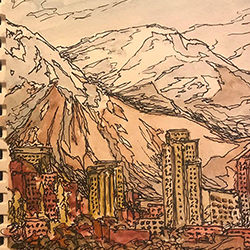 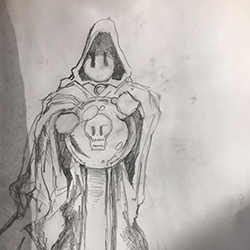 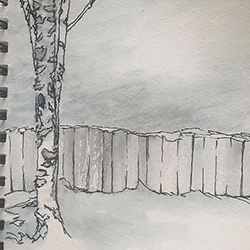 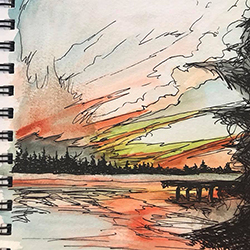 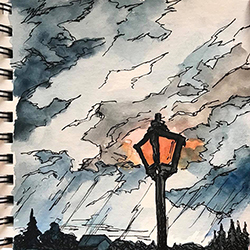 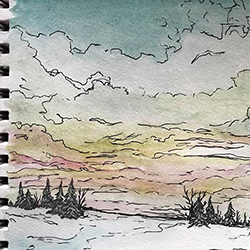 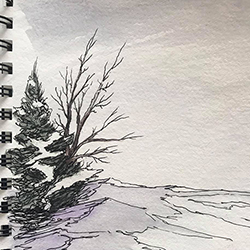 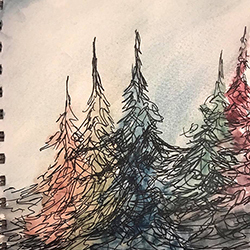 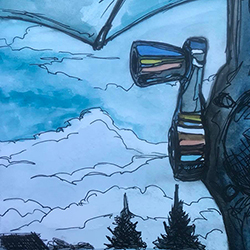 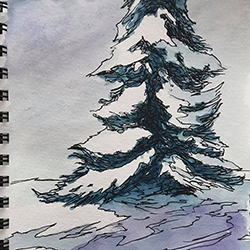 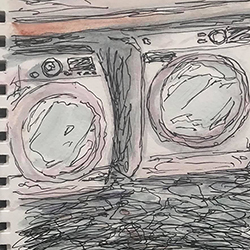 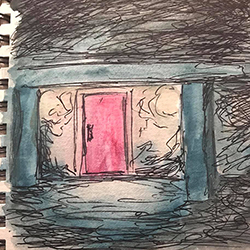 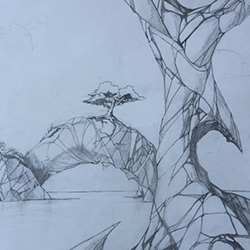 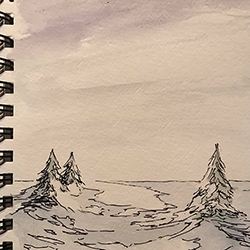 He has been active in mixing computers and art since he first got his hands on a computer in college, has been writing games off and on since about the 5th grade, and has been drawing and painting for as long as he can remember.